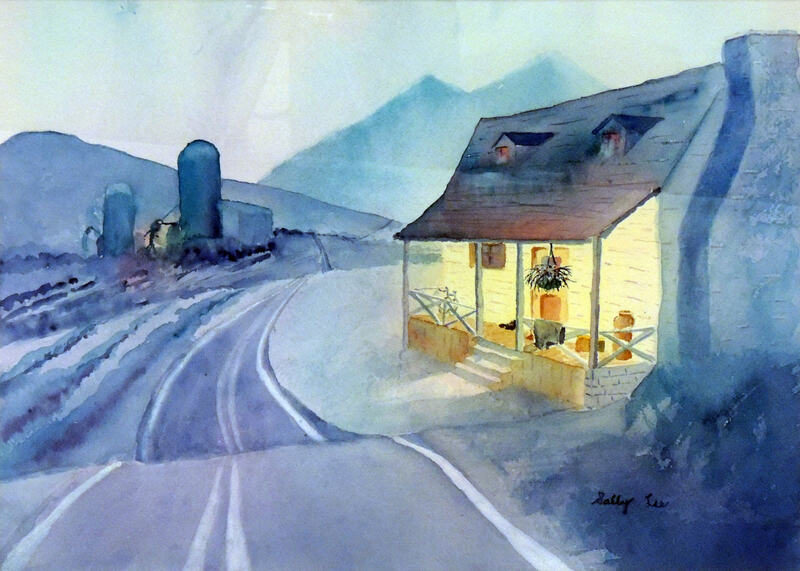 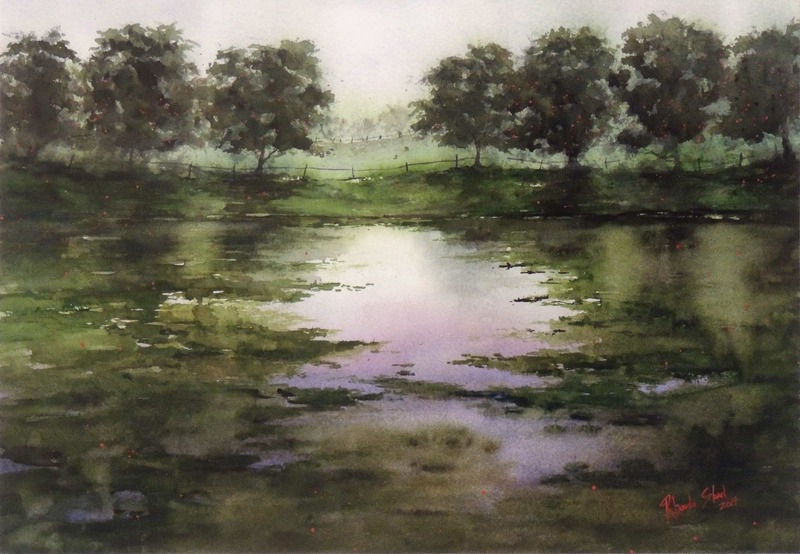 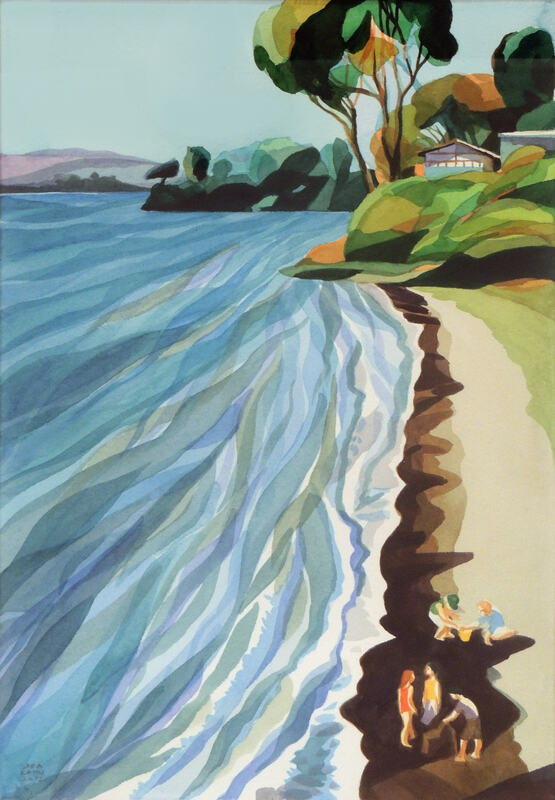 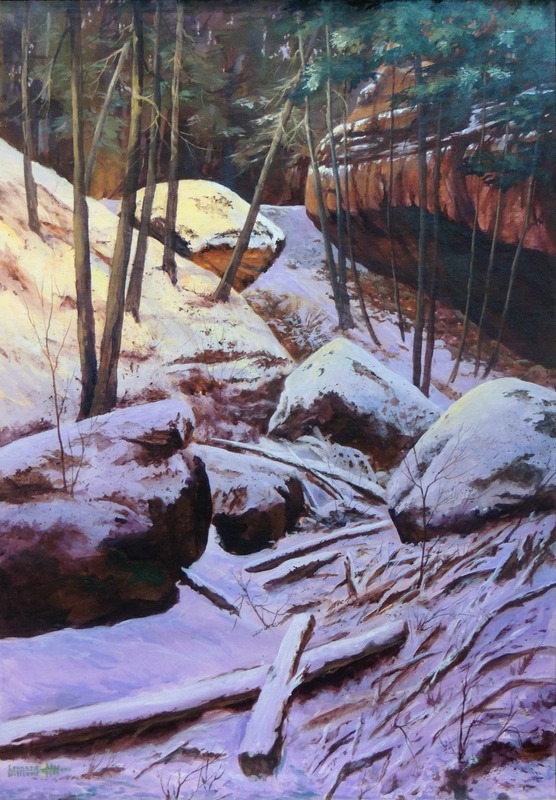 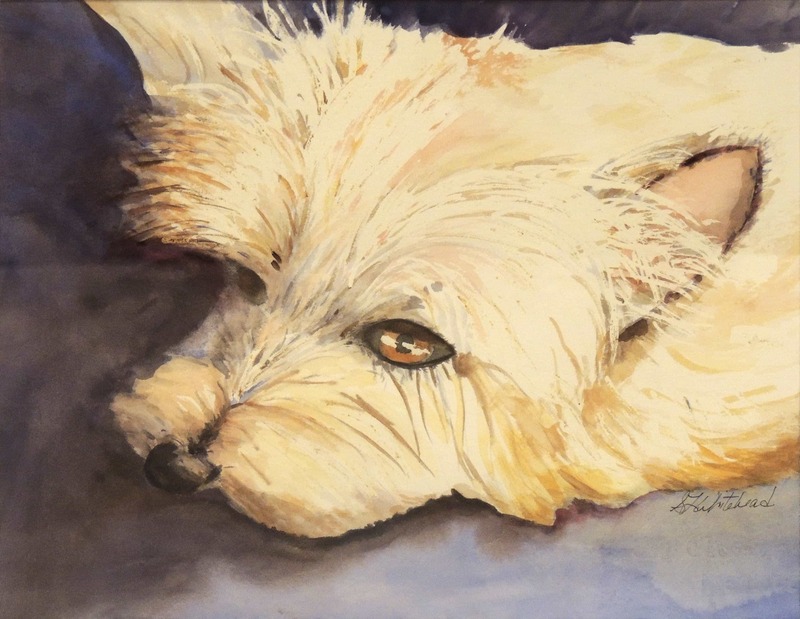 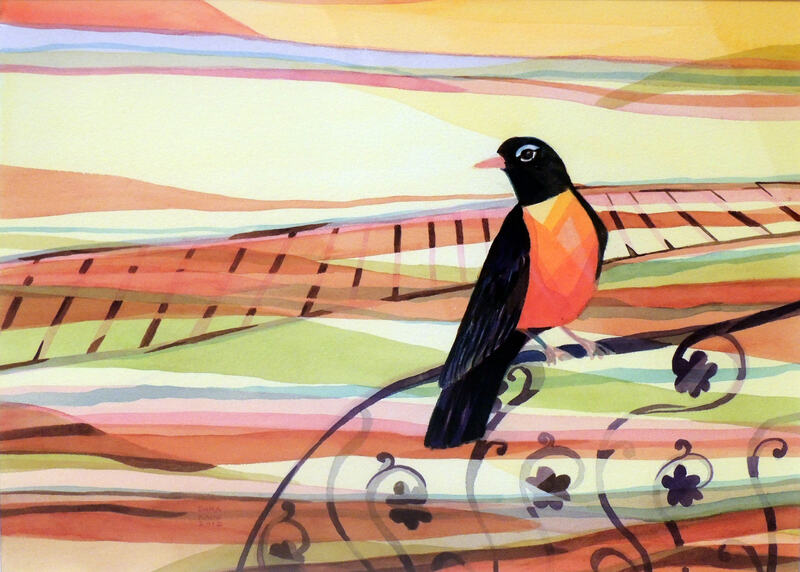 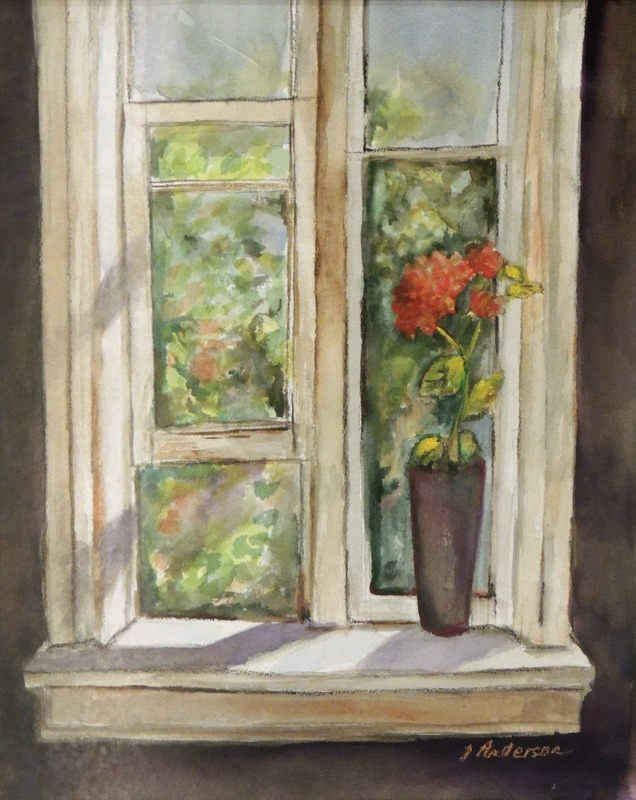 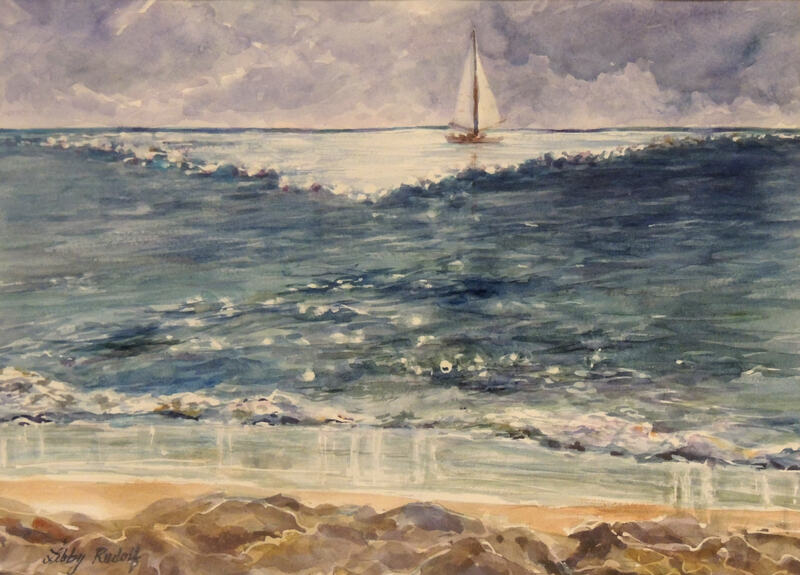 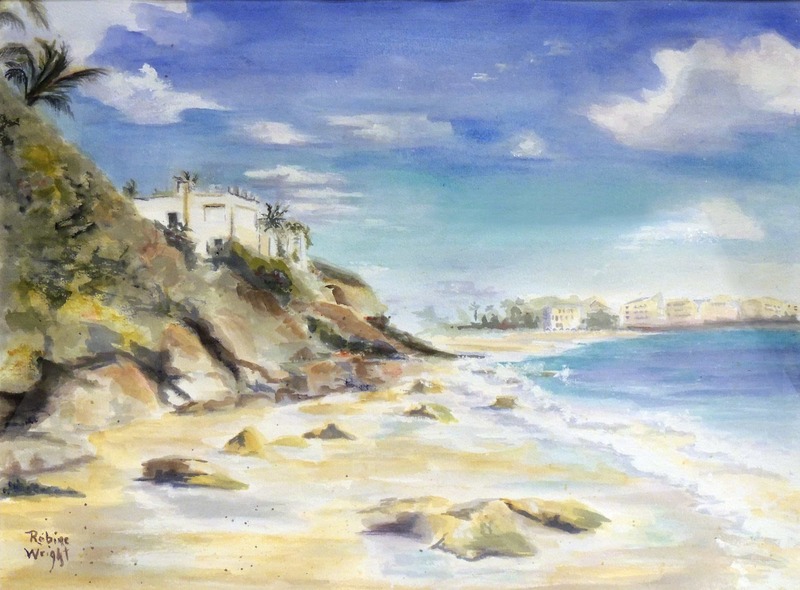 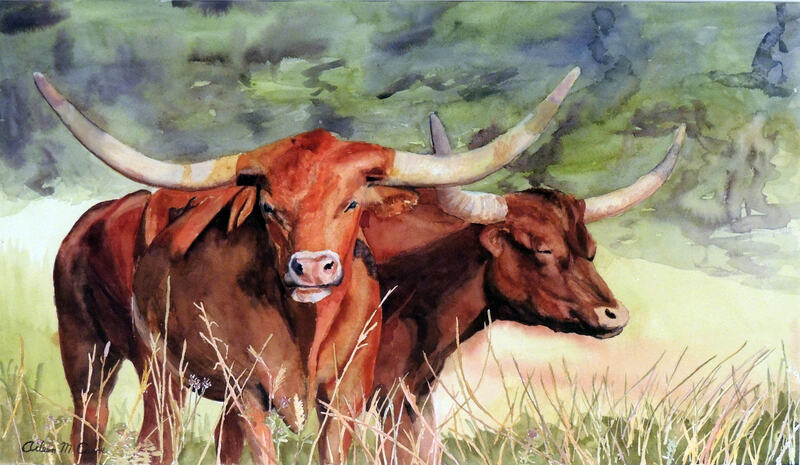 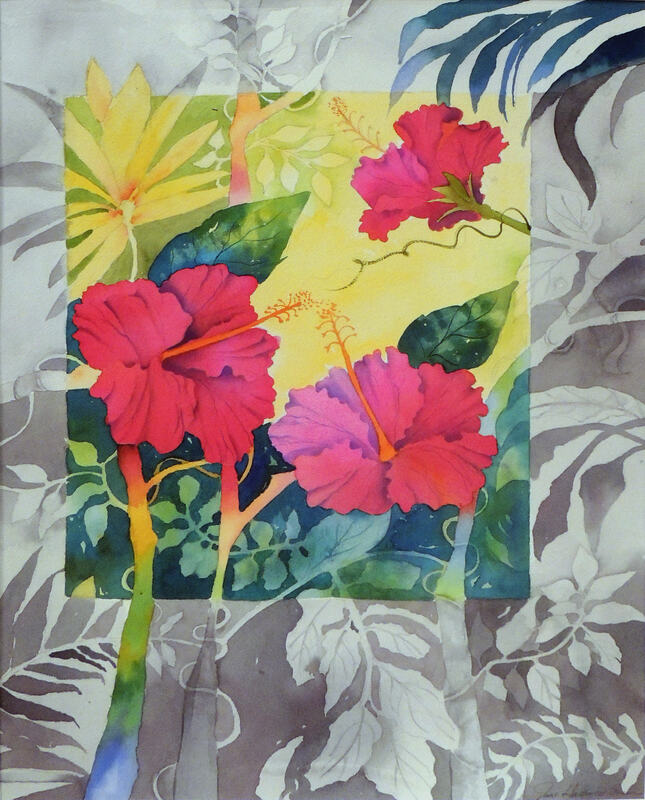 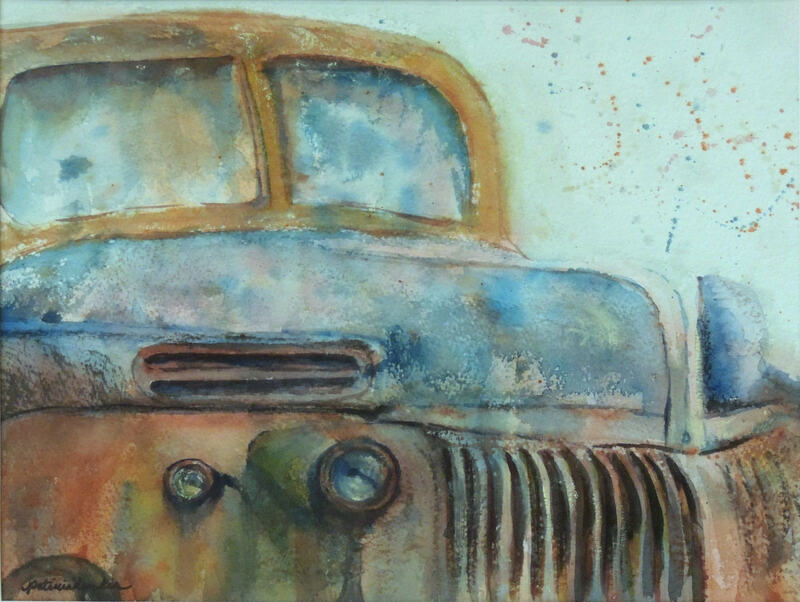 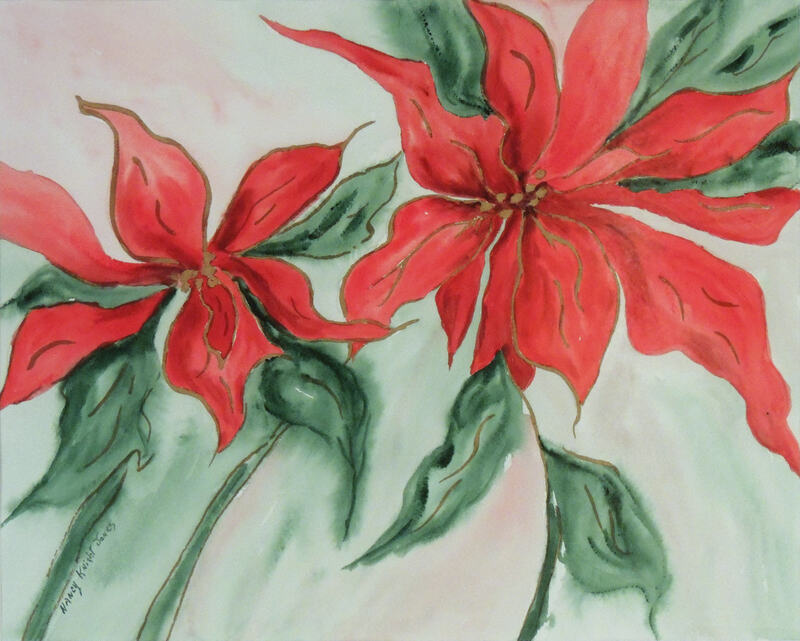 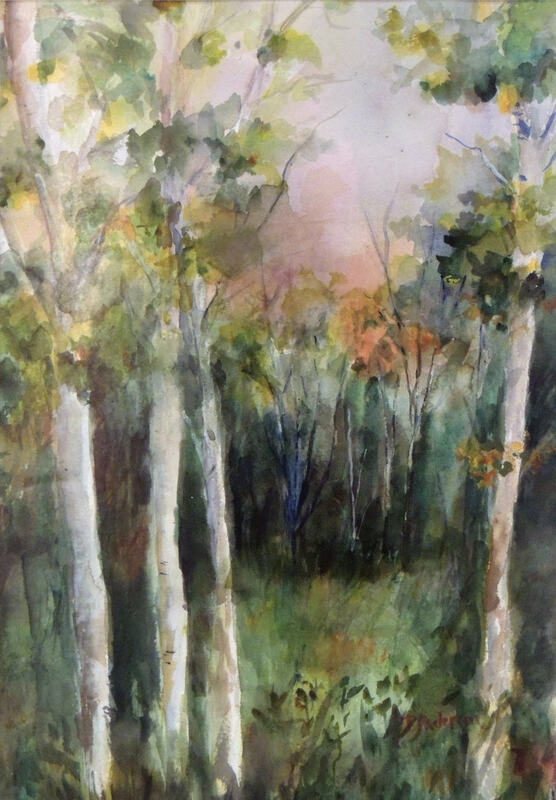 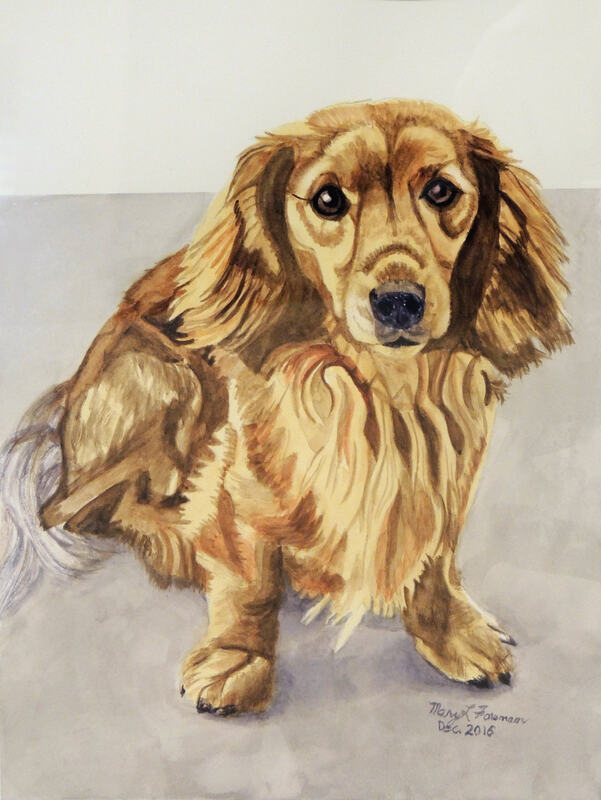 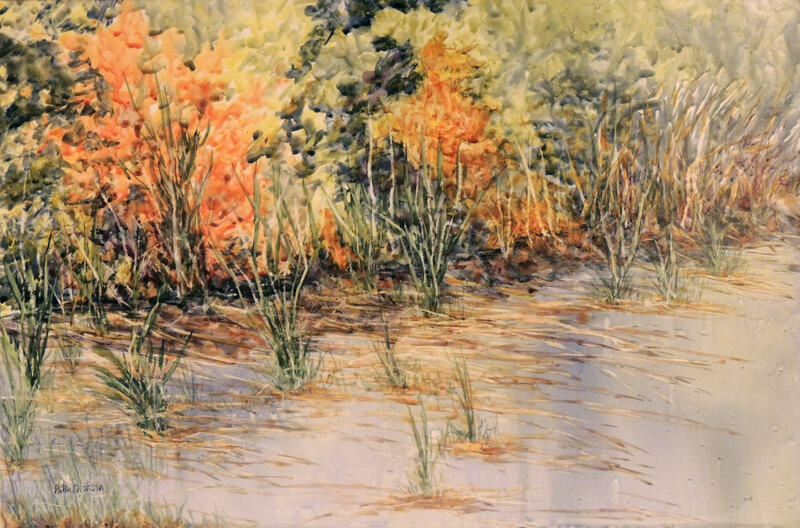 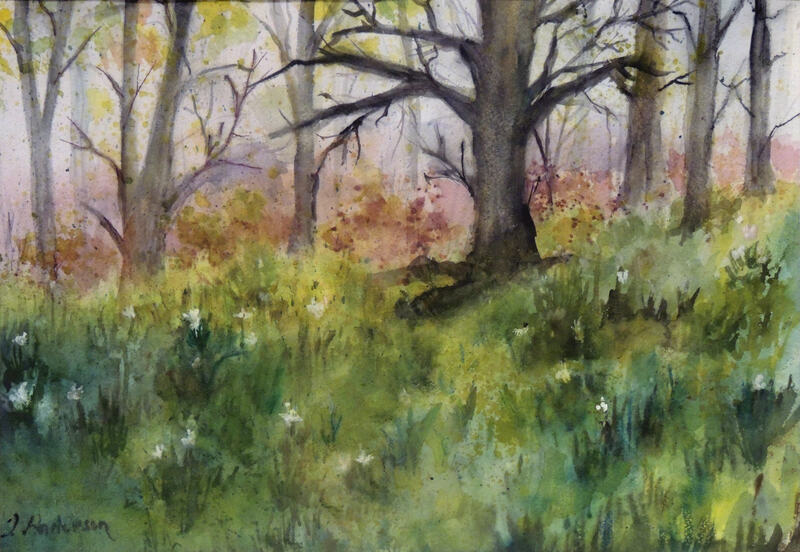 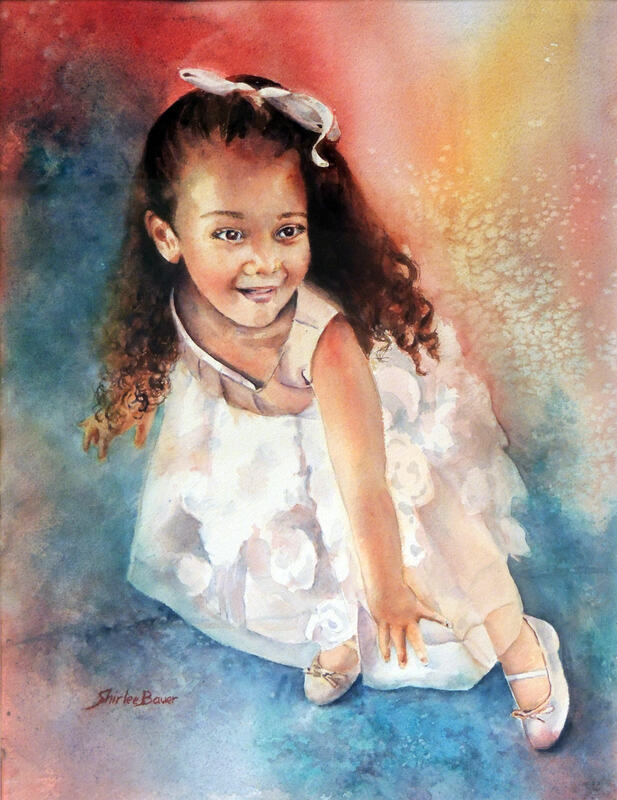 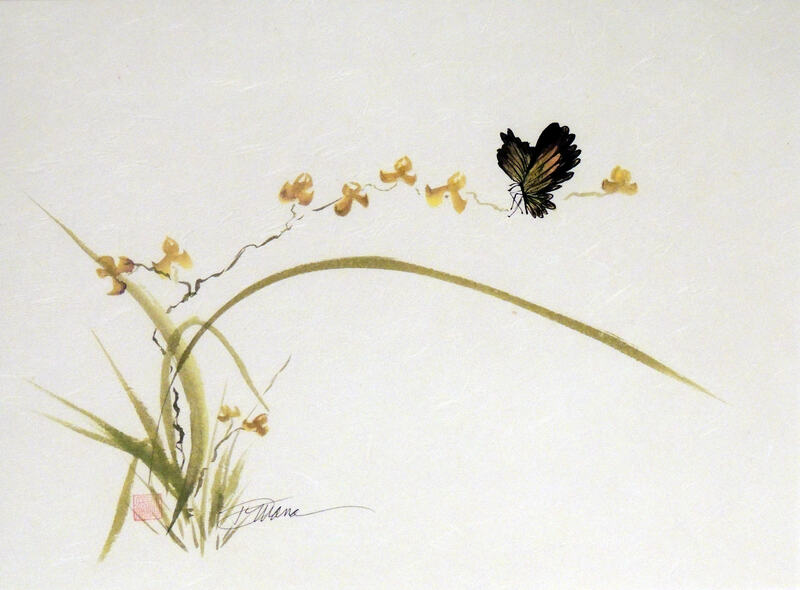 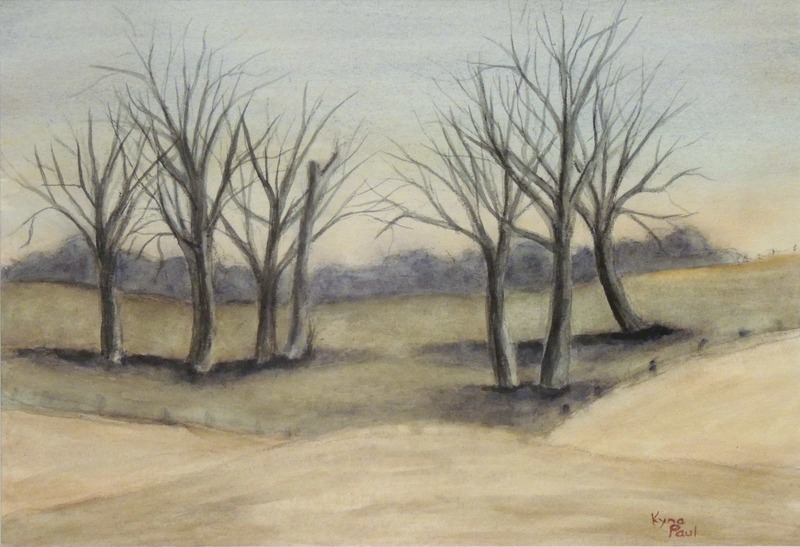 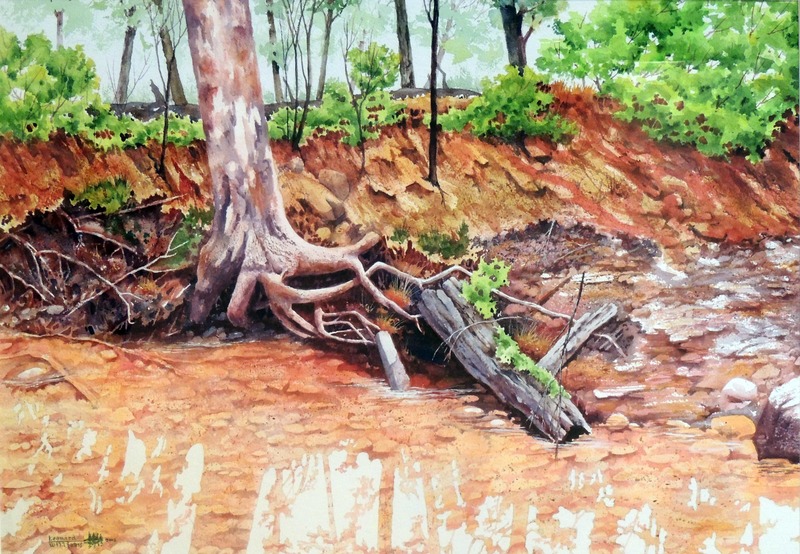 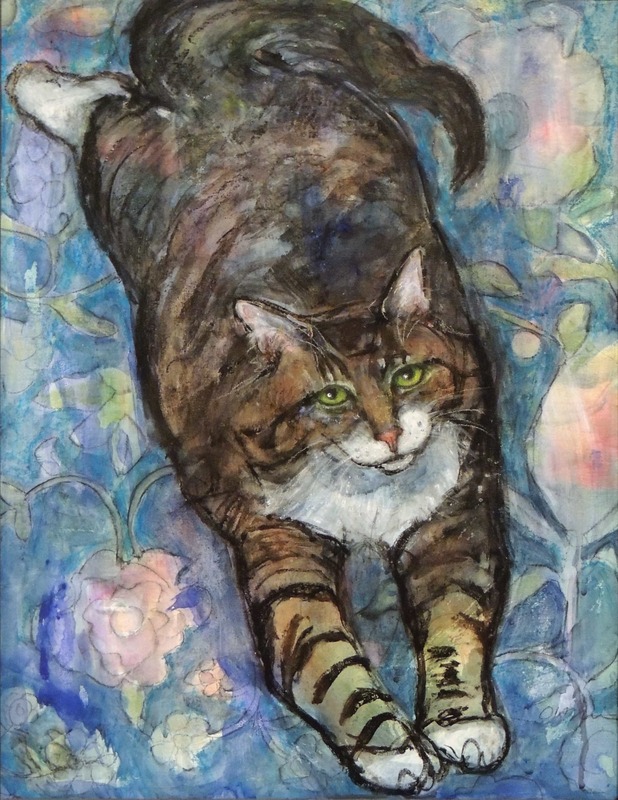 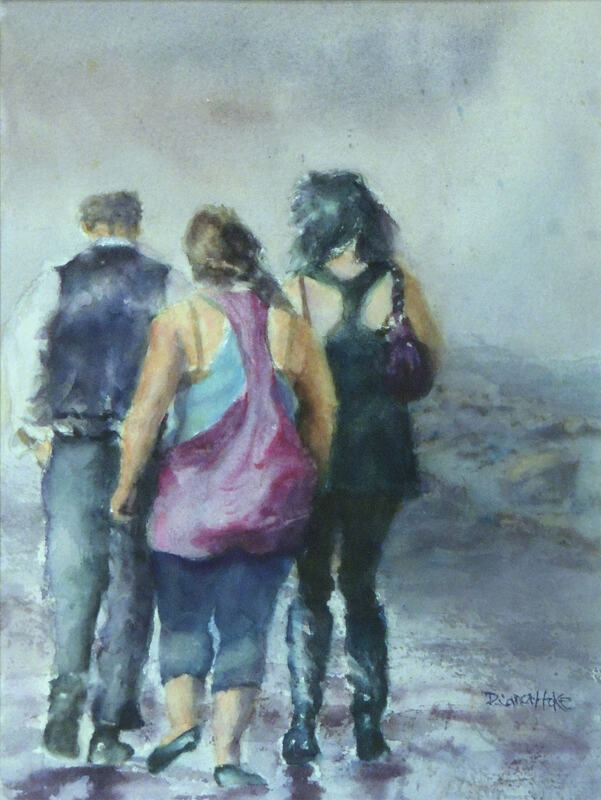 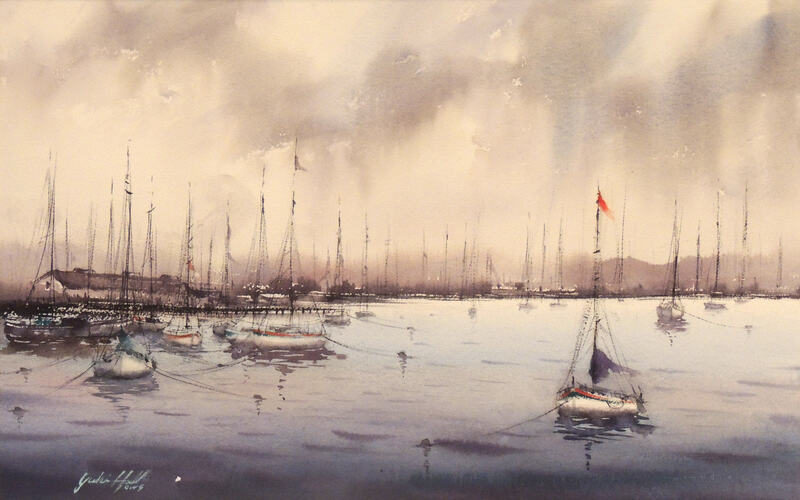 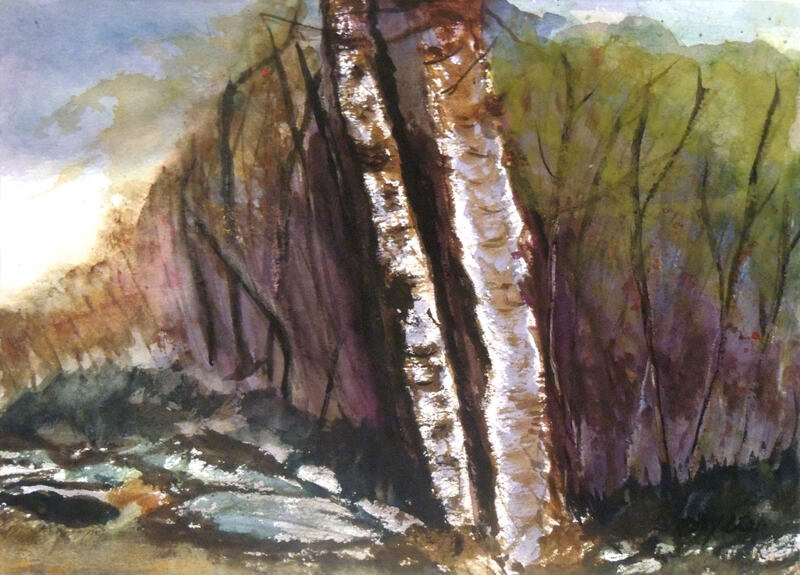 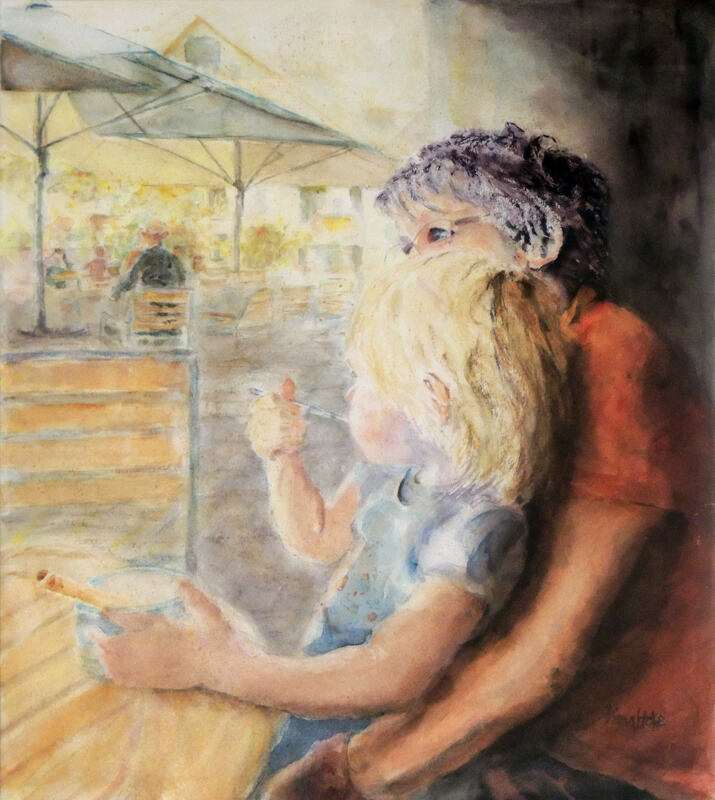 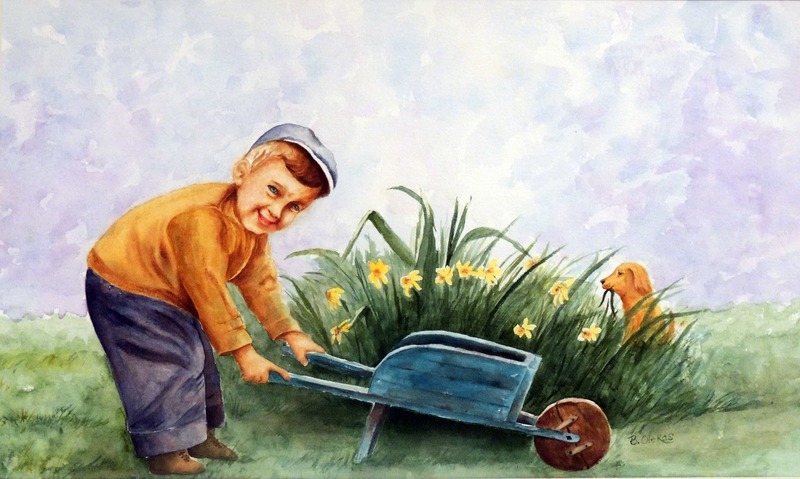 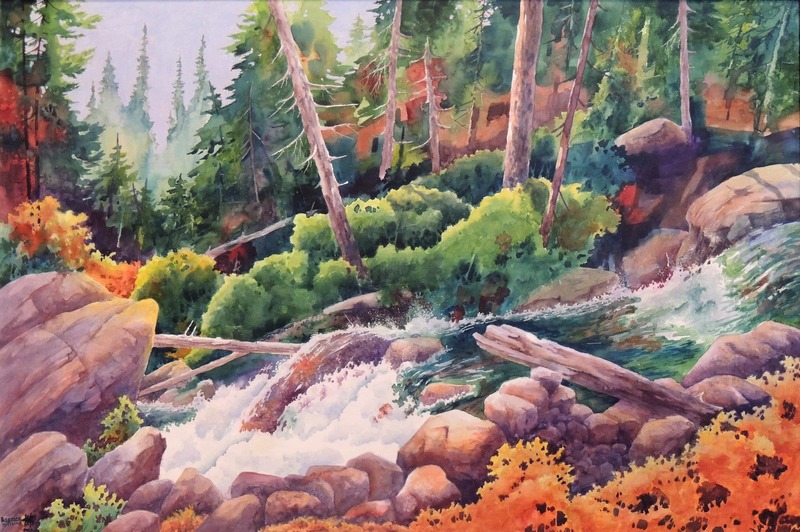 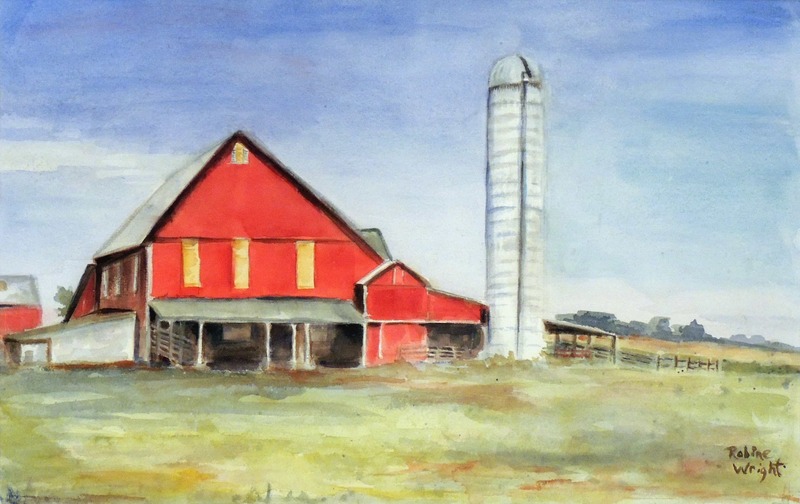 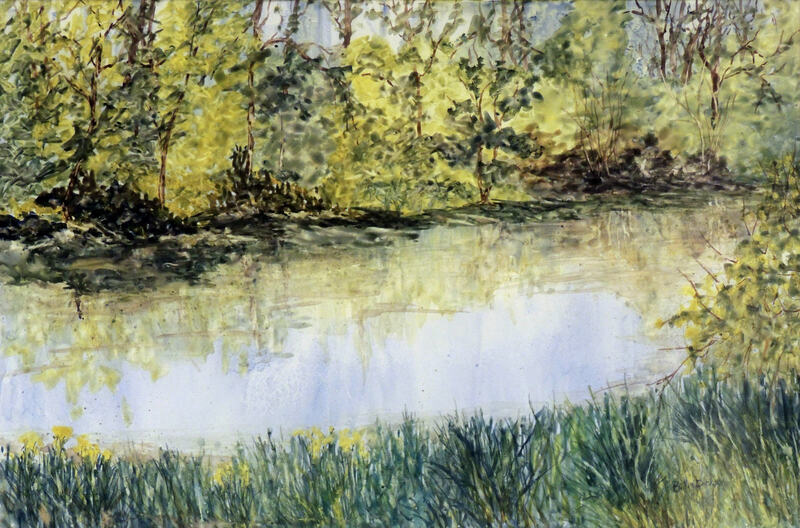 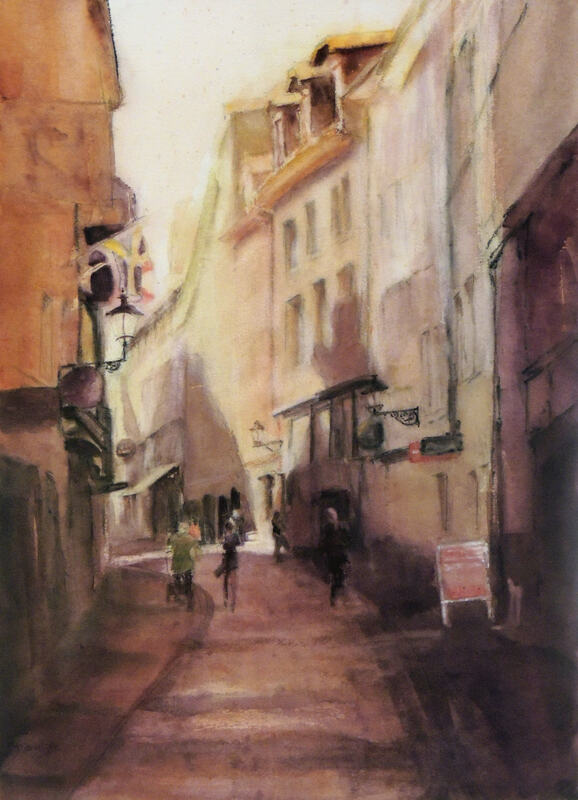 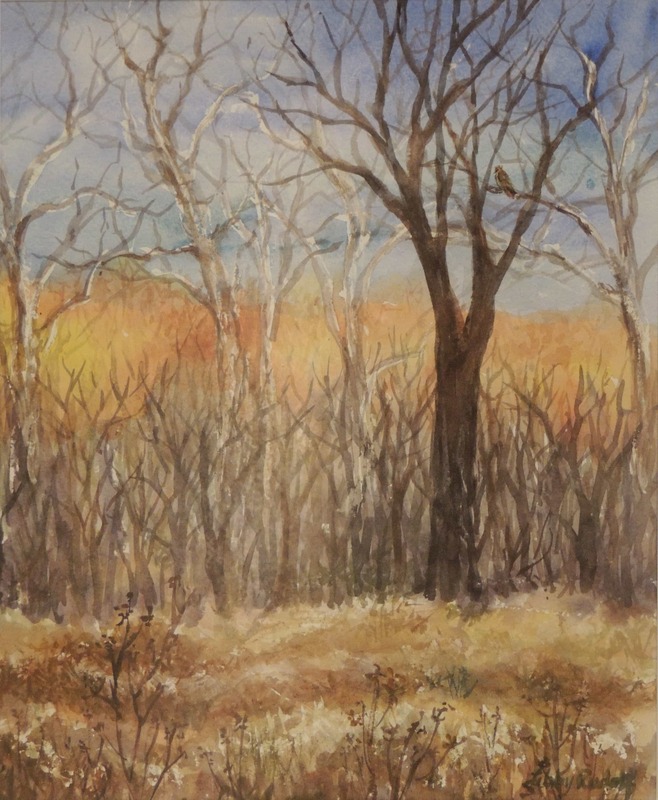 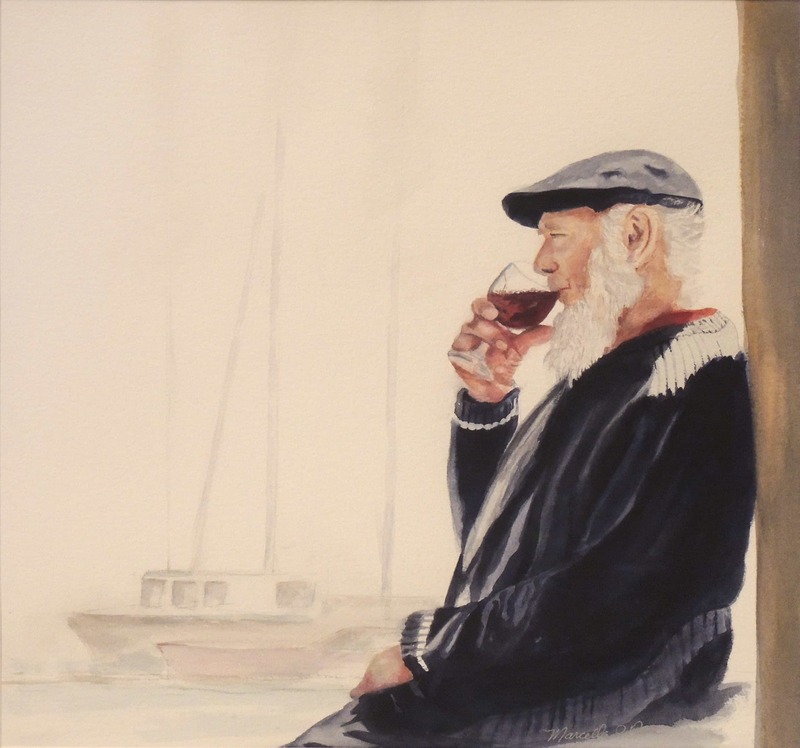 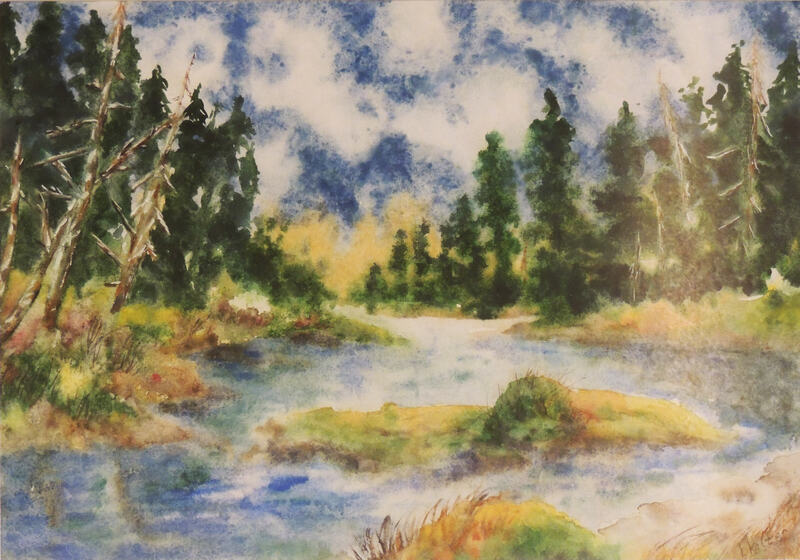 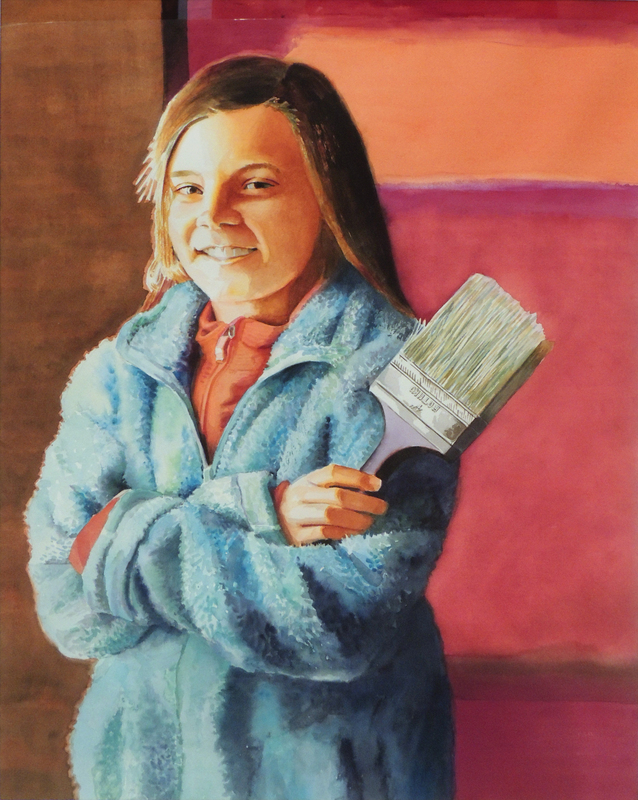 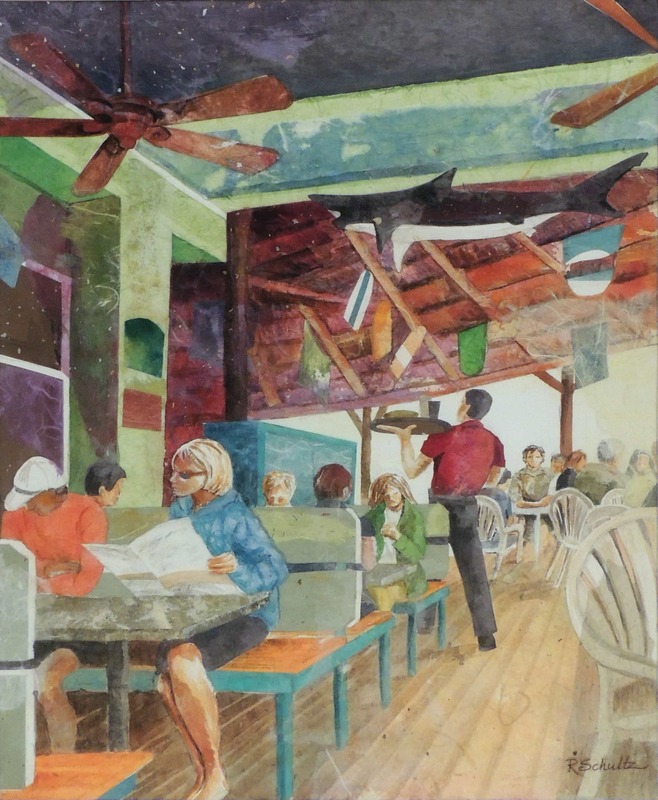 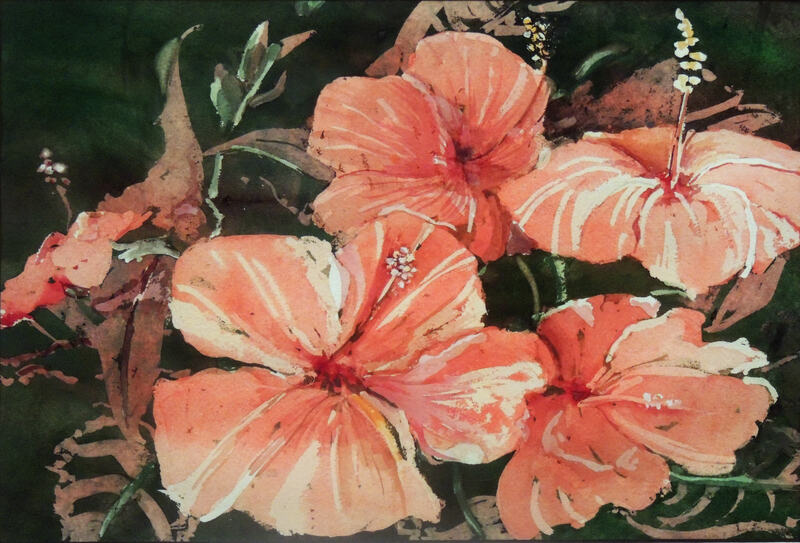 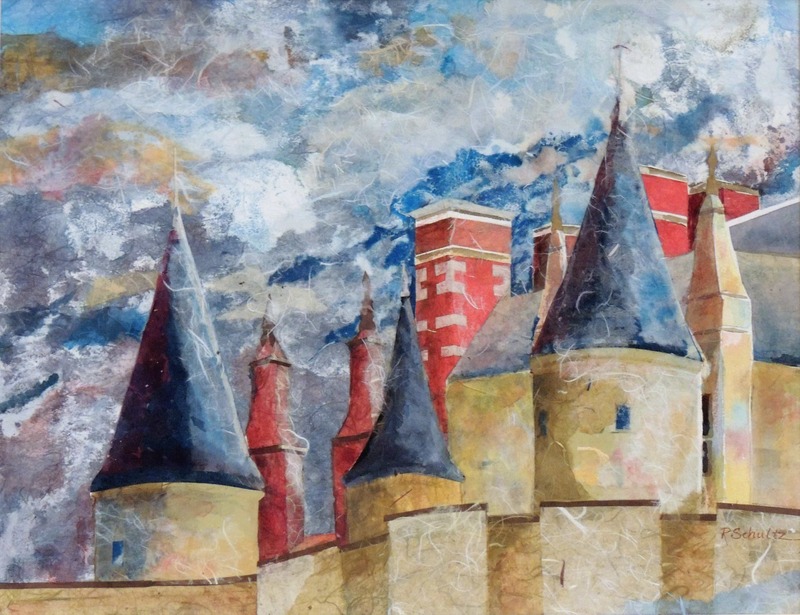 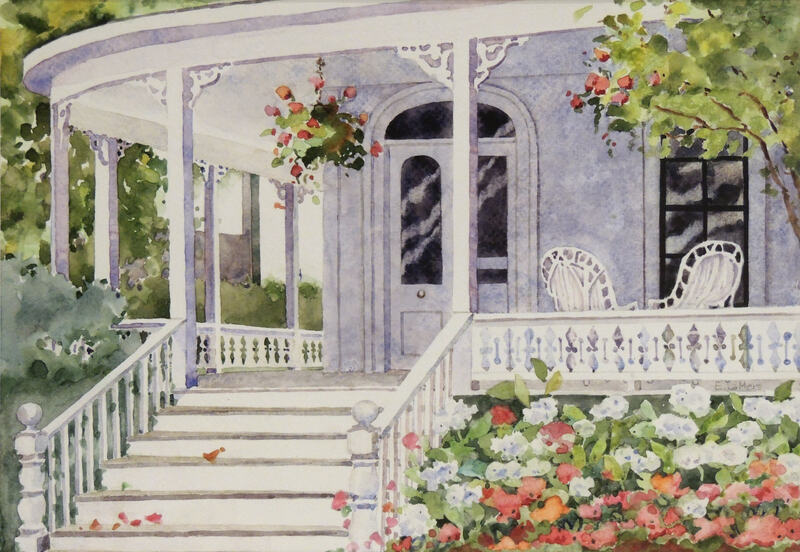 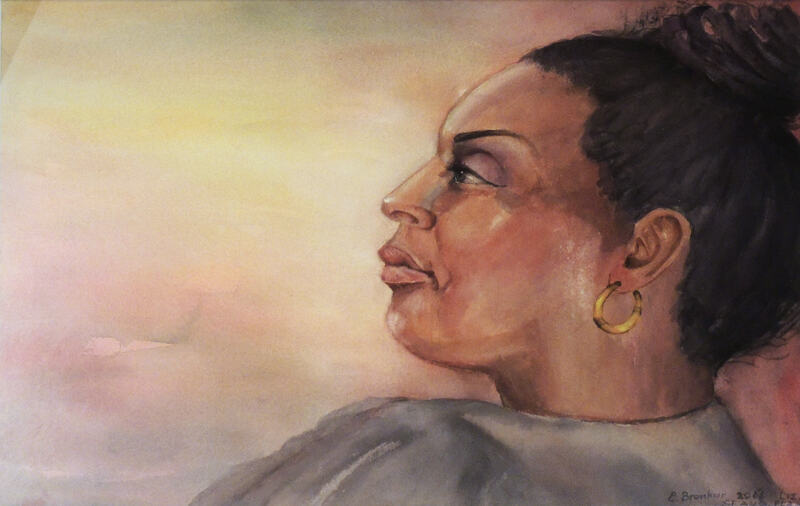 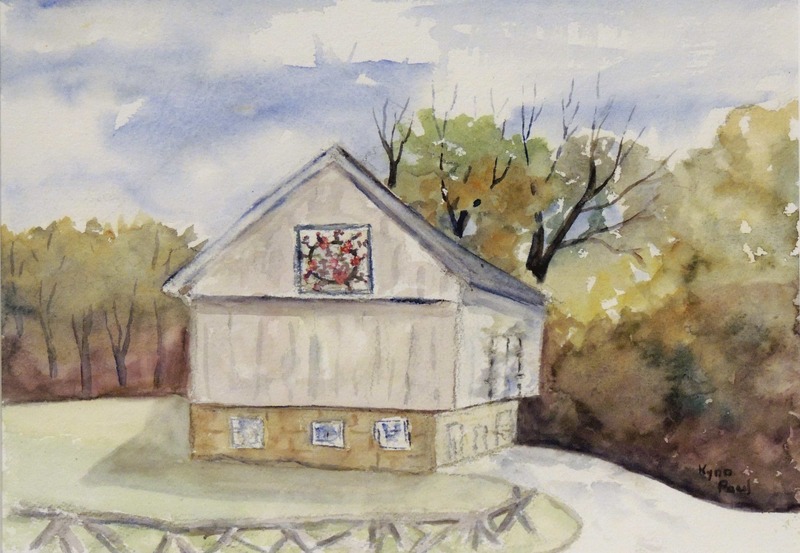 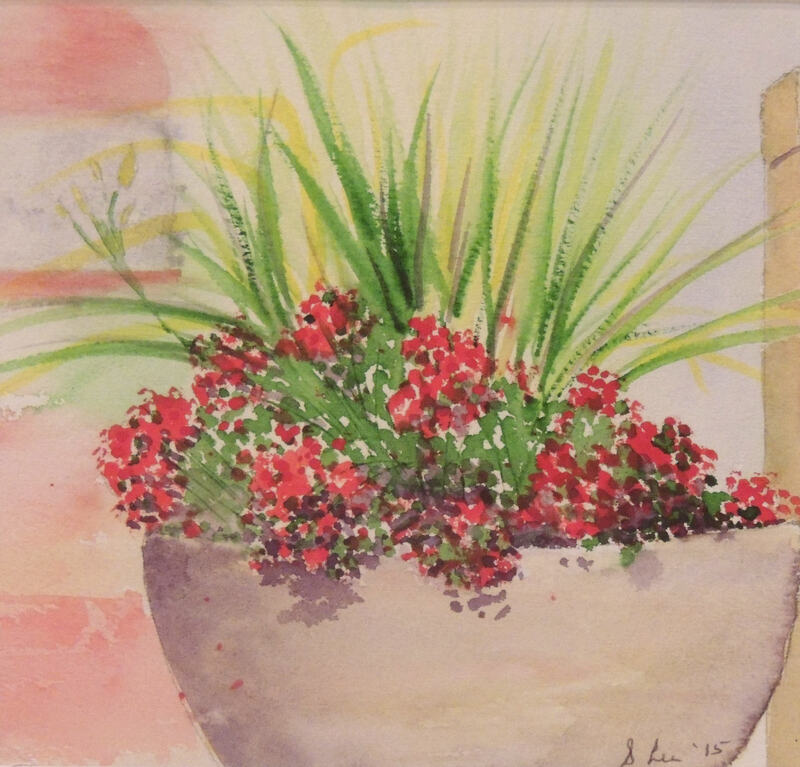 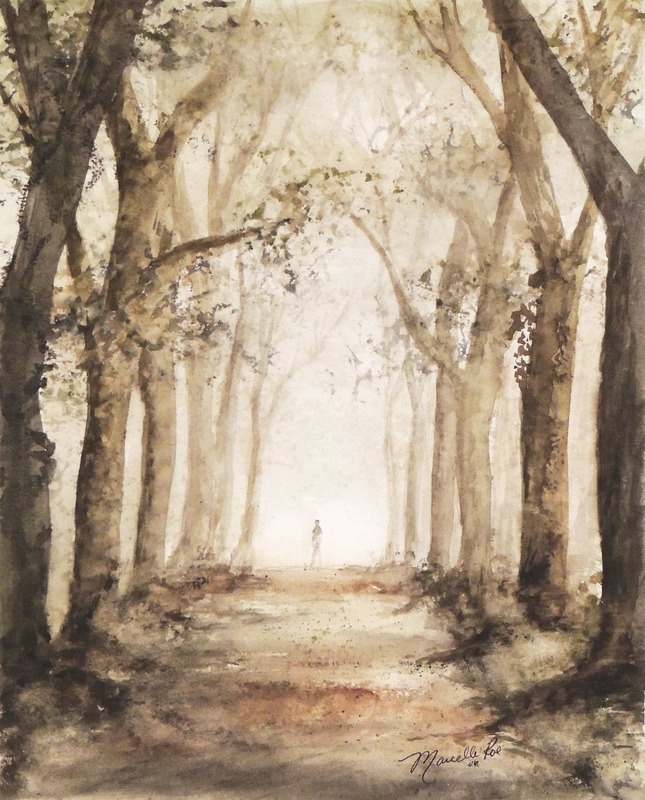 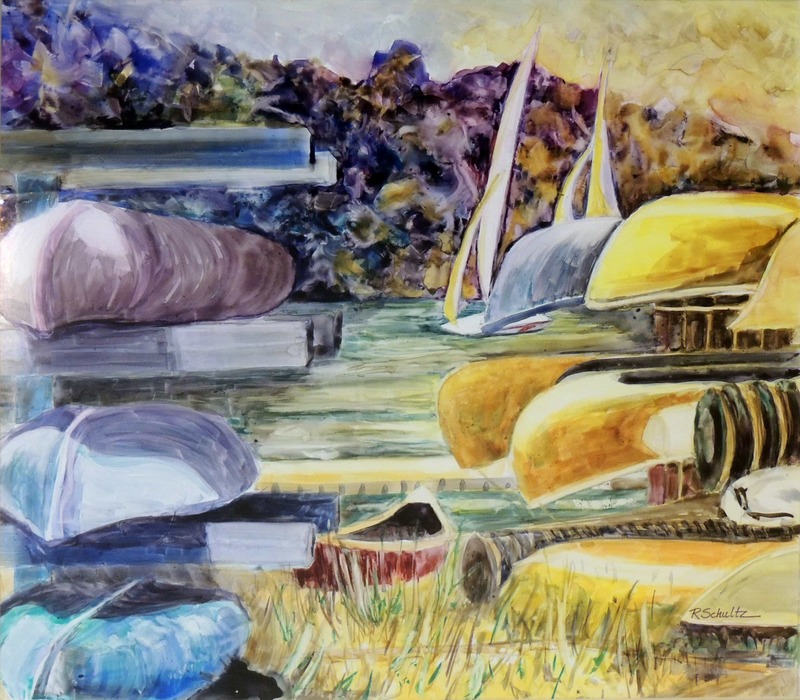 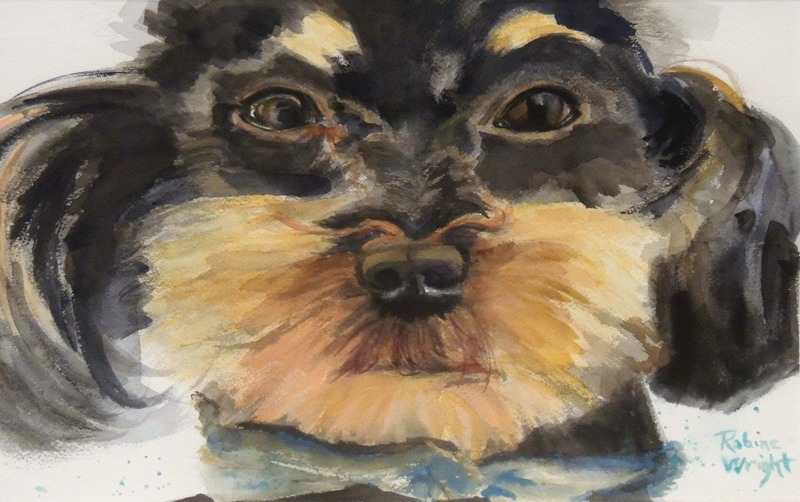 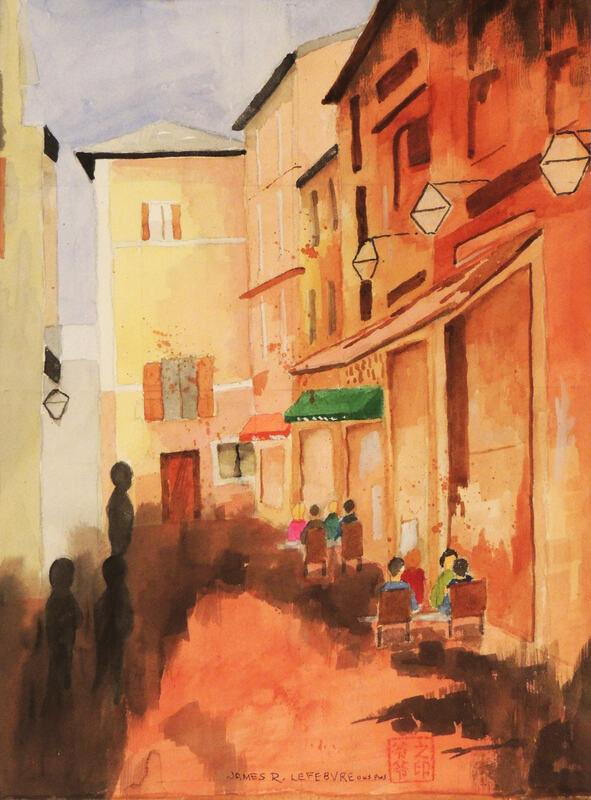 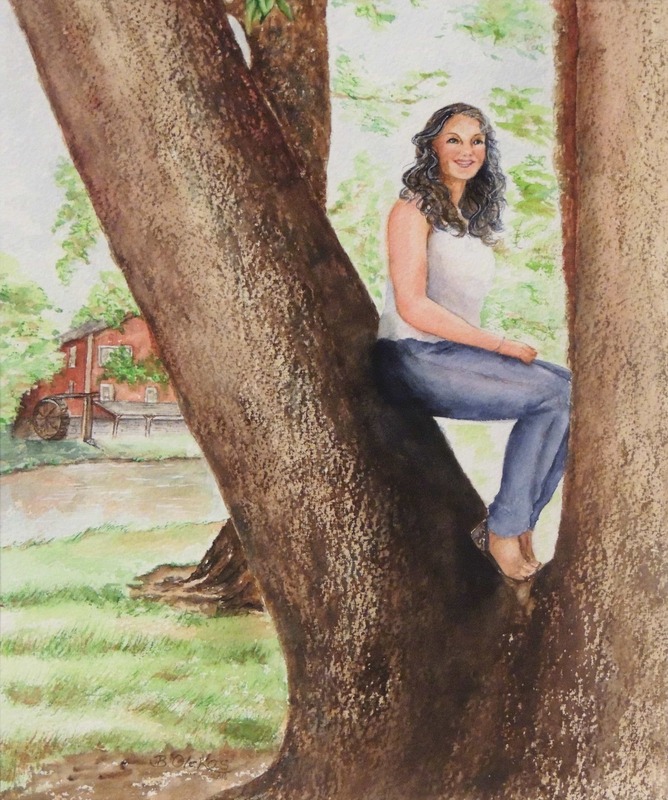 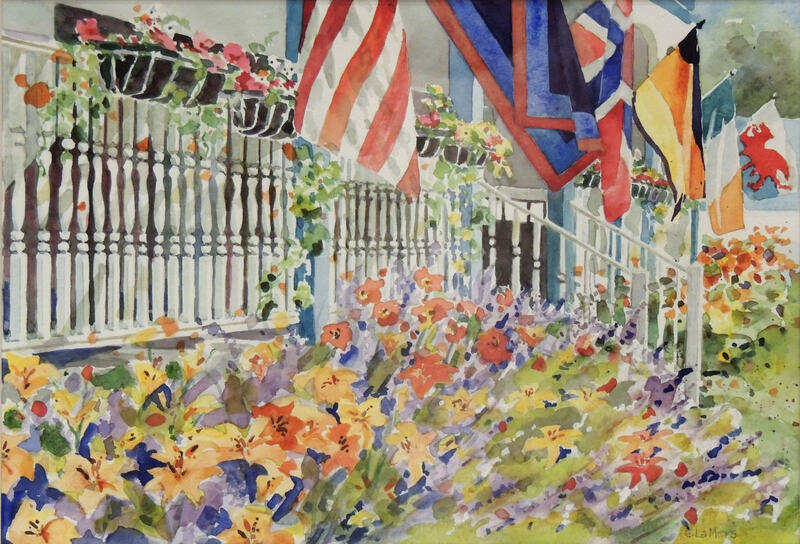 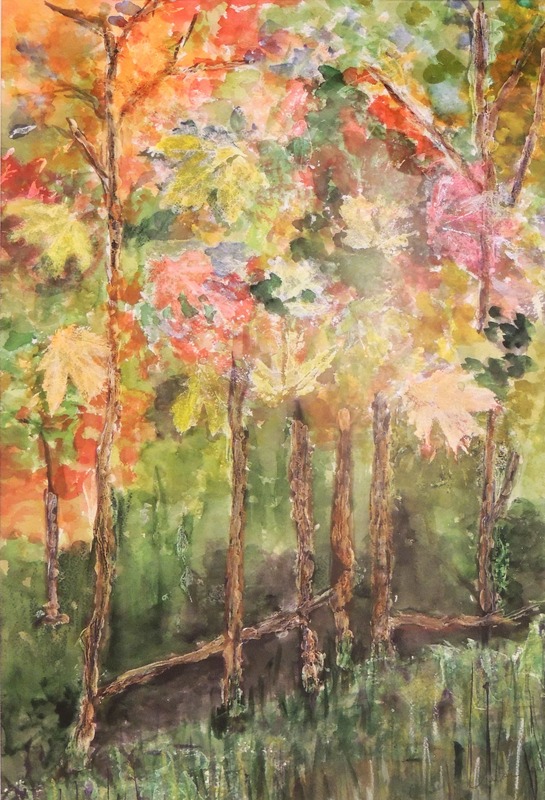 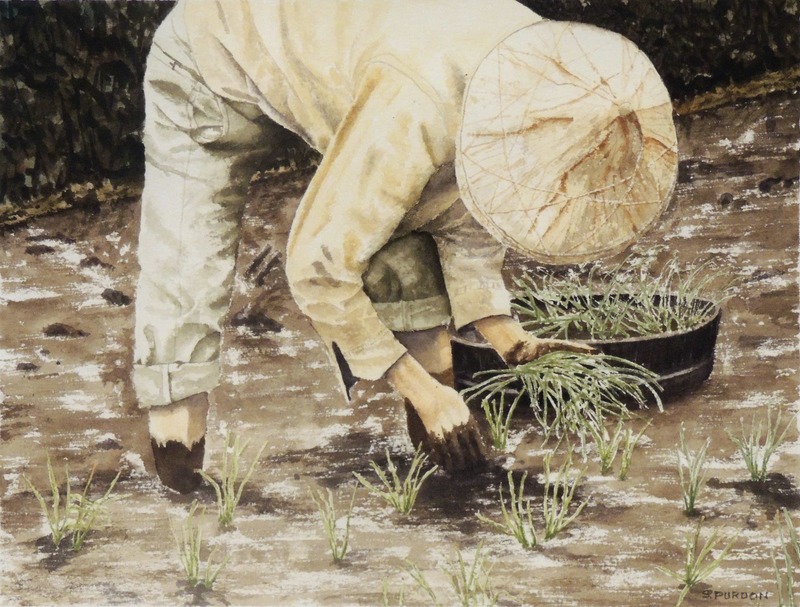 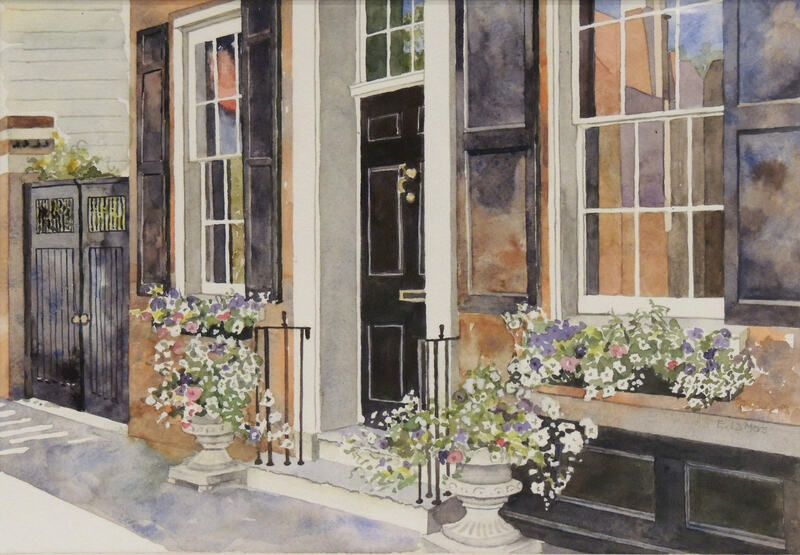 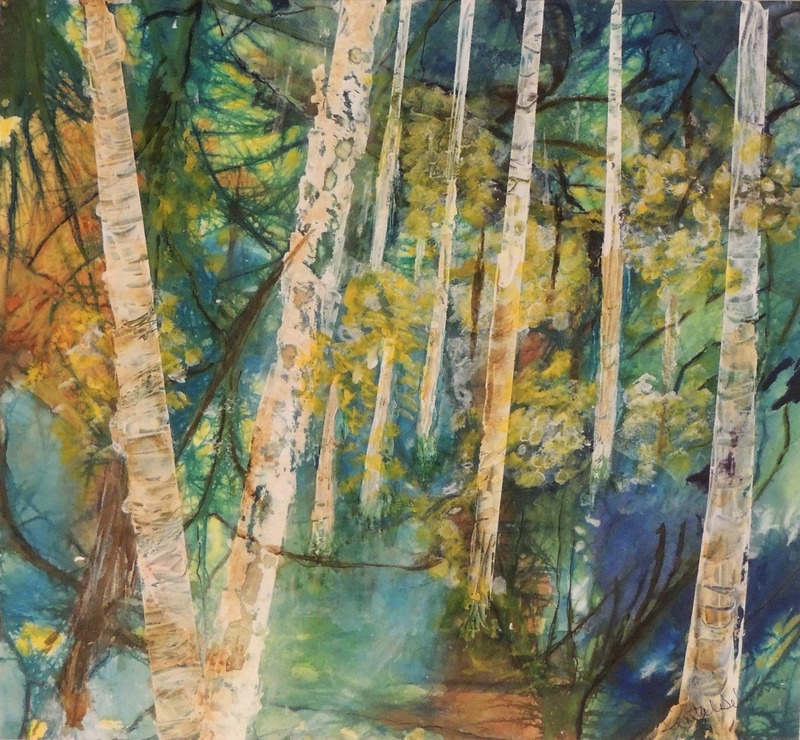 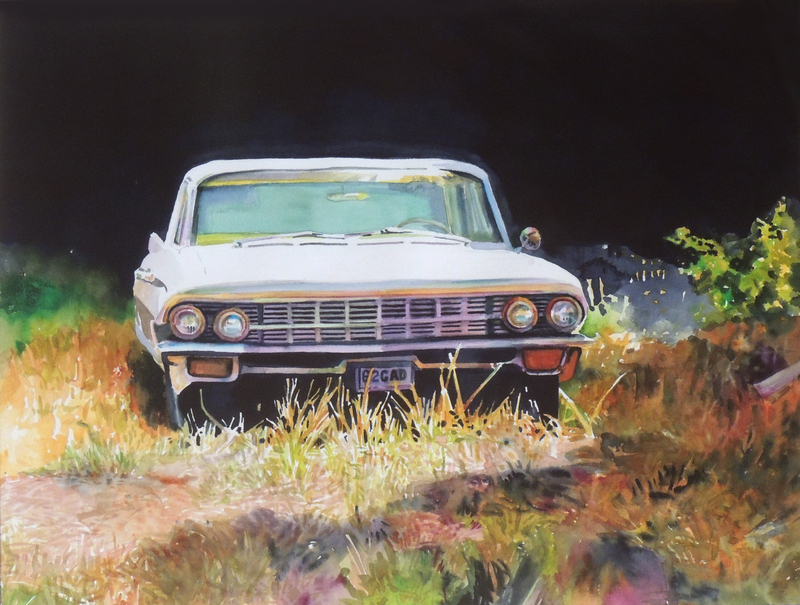 First Place | Rhonda Sloan | ADKINS’ ACRES | watercolor | 14 x 19"
Second Place | Dan Knepper | WHAT’S IN A NAME? 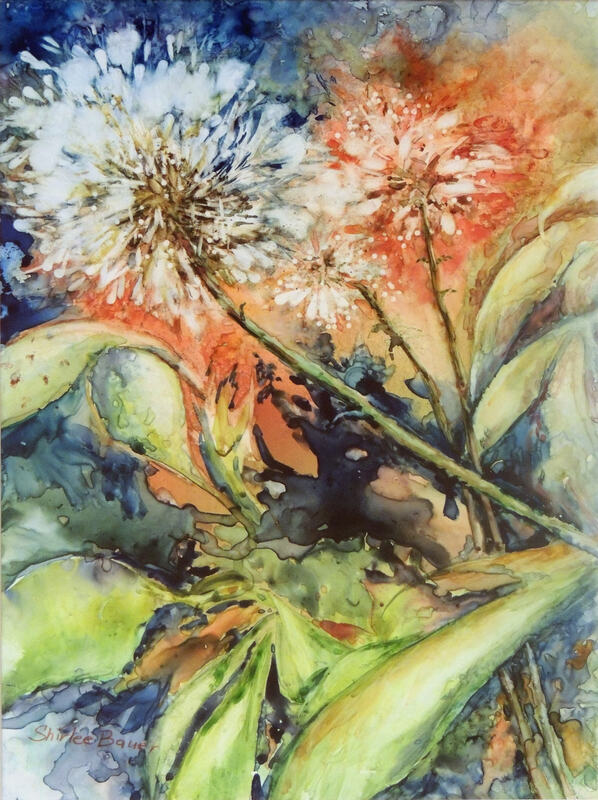 | watercolor | 28 x 21"
Third Place | Yuki Hall | MONTEREY HARBOR II | watercolor | 14 x 22"
Honorable Mention |Shirlee Bauer | MILKWEED EXPLOSION | watercolor | 14 x 10"
Honorable Mention |Connie Gifford | VIEW FROM THE ROCK | watercolor | 14 x 21"
Honorable Mention | Sara Kahn | MILLER KNOX PARK | watercolor | 15 x 22"
Terri Anderson | LIGHT IN THE CLEARING | watercolor | 19 x 15"
Terri Anderson | WOODLAND SPRING « watercolor | 11 x 15"
Shirlee Bauer | DANCE AWAY | watercolor | 21 x 14"
Eunice Bronkar | LIZ | watercolor | 14 x 21"
Sherry Cai | LIFE RIVER | watercolor | 9 x 12"
Sherry Cai | AUTUMN WOODS AND CLEAR STREAM | watercolor | 11 x 14"
Aileen Cave | WAITING | watercolor | 14 x 10"
Billie Dickson | MAD RIVER RUN | watercolor | 15 x 22"
Billie Dickson | VALLE VIEW | watercolor | 15 x 22"
Patricia Dunker | ARE WE THERE YET? 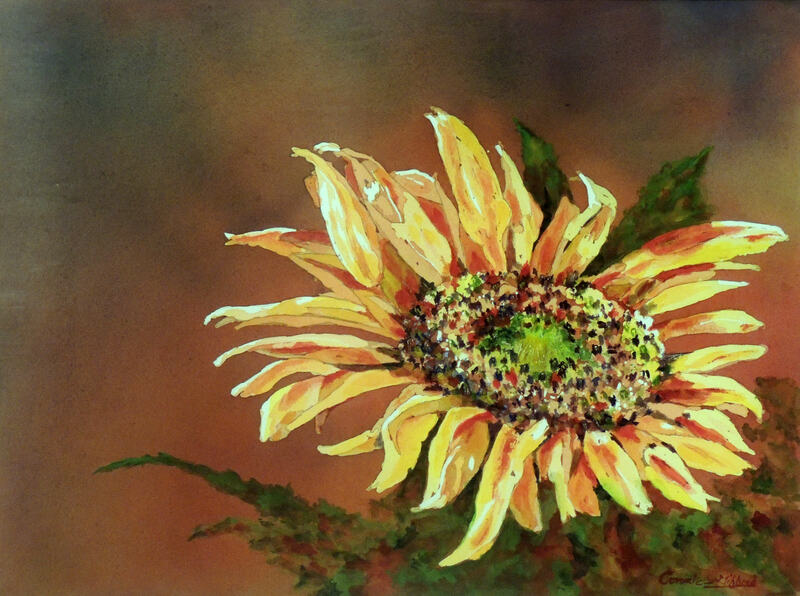 | watercolor | 11 x 14"
Mary Foreman | BRONSON | watercolor | 14 x 11"
Connie Gifford | SPECTACULAR SUNFLOWERS IN LIGHT | watercolor | 15 x 19"
Yuki Hall | FOURTH STREET | watercolor | 14 x 19"
Yuki Hall | OCTOBER RAIN | watercolor | 14 x 19"
Jane Halliwell Green | SARASOTA BEAUTY | watercolor | 20 x 27"
Shirley Harbaugh | GARDEN DELIGHT | watercolor | 10 x 12"
Shirley Harbaugh | MAGGIE | watercolor| 10 x 12"
Diana Hoke | ZURICH | watercolor | 21 x 14"
Diana Hoke | ENGAGED | watercolor | 12 x 9"
Diana Hoke | SUMMER AFTERNOON | watercolor | 17 x 14"
Sara Kahn | ROBIN | watercolor | 15 x 22"
Linda Kalter | THE NORTHWOODS | watercolor | 16 x 20"
Dan Knepper | STEVEN’S OLD CAR | watercolor | 17 x 21"
Nancy Knight Jones | RED WATER GREEN WATER | watercolor | 13 x 16"
Evelyn LaMers | CHARLESTON STREET SCENE | watercolor | 10 x 14"
Evelyn LaMers | MACKINAC ISLAND COTTAGE | watercolor | 10 x 14"
Evelyn LaMers | BEAVER ISLAND CAFE | watercolor | 10 x 14"
Sally Lee | ROAD TO CHARLESTON | watercolor | 12 x 16"
Sally Lee | UNION SQUARE IN THE SUMMERTIME | watercolor | 7 x 10"
Sally Lee | STANDING BY; ANCHOR | watercolor | 7 x 10"
James Lefebvre | BISTRO | watercolor | 11 x 14"
James Lefebvre | BRO II | watercolor | 11 x 14"
Diana Marra | THE ORCHID AND THE BUTTERFLY | Chinese ink, watercolor | 16 x 20"
Terri Anderson | VIEW FROM MY WINDOW | watercolor | 15 x 11"
Robine Wright | OYSTER BAY, SAINT MAARTEN | watercolor | 16 x 20"
Robine Wright | THE FARM | watercolor | 16 x 20"
Robine Wright | HOOCH | watercolor | 16 x 20"
Anita Wilson | OHIO IN FALL | watercolor | 19 x 12"
Anita Wilson | COLORADO IN FALL | watercolor | 14 x 13"
Leonard Williams | GHOST TREE REFLECTIONS | watercolor | 19 x 27"
Leonard Williams | HOCKING HILLS WINTER | casein | 29 x 20"
Leonard Williams | TRAIL TO HIDDEN FALLS | watercolor | 19 x 29"
Susan Whitehead | MARLEY | watercolor | 10 x 13"
Susan Scott | CANYON DREAMS | watercolor | 11 x 11"
Rose Schultz | SHARKY'S | watercolor and collage | 24 x 18"
Rose Schultz | INSPIRING | watercolor and collage | 16 x 20"
Rose Schultz | SUNSTRUCK | watercolor | 17 x 19"
Libby Rudolf | WINTER TWILIGHT | watercolor | 12 x 16"
Libby Rudolf | BRIGHT WATERS | watercolor | 12 x 16"
Marcella Roe | OLD MAN BY THE SEA | watercolor | 24 x 30"
Marcella Roe | ALONE WITH MY CREATOR | watercolor | 16 x 20"
Marcella Roe | VIOLET | watercolor | 12 x 12"
Steven Purdon | RICE PLANTING | watercolor | 10 x 13"
Steven Purdon | DJENNE MEN | watercolor | 20 x 14"
Kyna Paul | BARN AT GEORGE ROGERS PARK | watercolor | 9 x 12"
Kyna Paul | ABSTRACT LEAVES | watercolor | 9 x 12"
Kyna Paul | FAMILY TREES | watercolor | 9 x 12"
Barbara Olekas | GIRL IN TREE AT MUDLICK MILL | watercolor | 11 x 14"
Barbara Olekas | LITTLE BOY WITH DOG | watercolor | 13 x 20"
Jennifer O’Brien | LADY IN GARDEN | mixed media | 50 x 18"
Jennifer O’Brien | RAYLIN | mixed media | 18 x 24"
Walt Murch | PEEKABOO | watercolor | 9 x 10"
Walt Murch | ROOM WITH A VIEW | watercolor | 11 x 15"
Walt Murch | FLOWER IN A PEWTER VASE | watercolor | 11 x 8"
Founded in 1974, The Western Ohio Watercolor Society strives to promote the medium of watercolor and provide educational opportunities for the public. 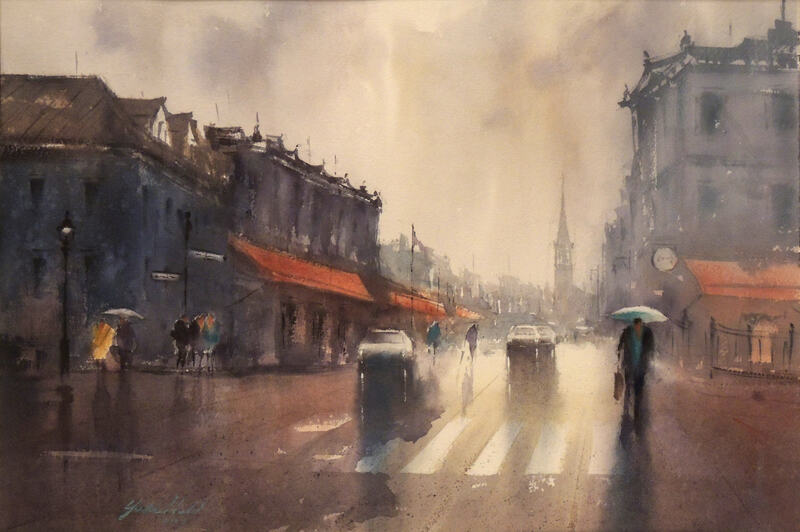 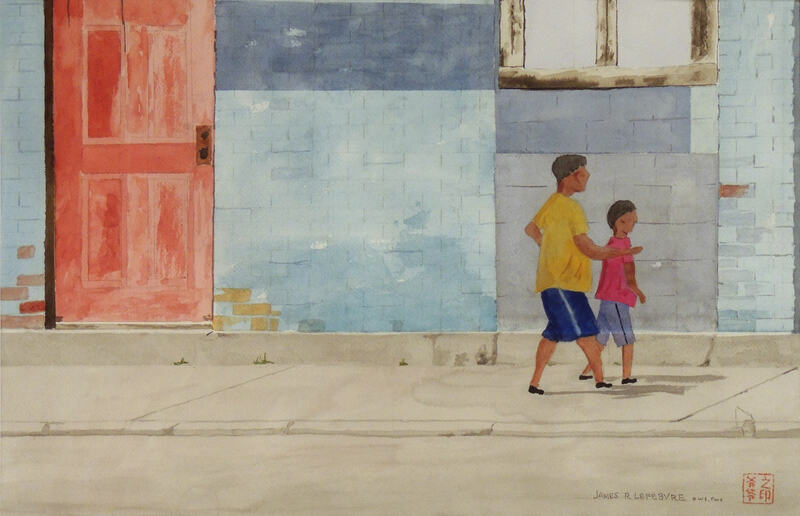 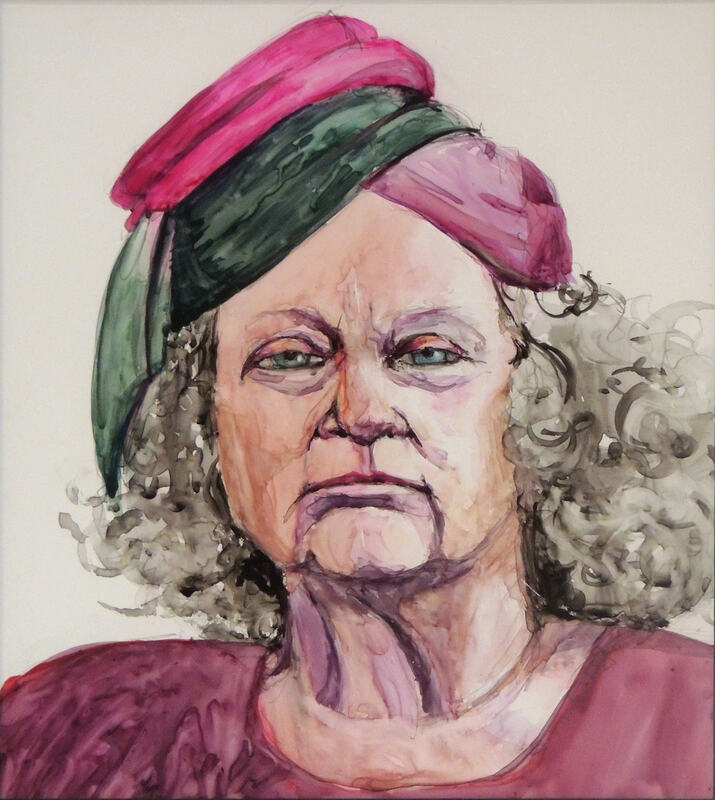 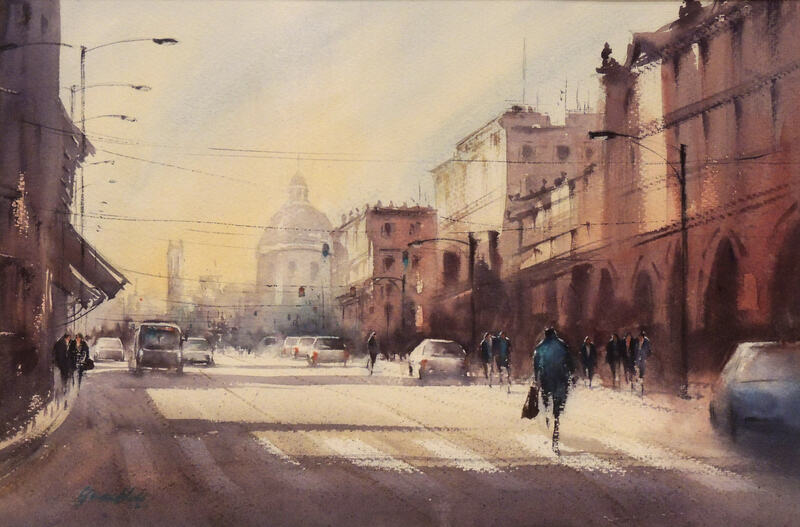 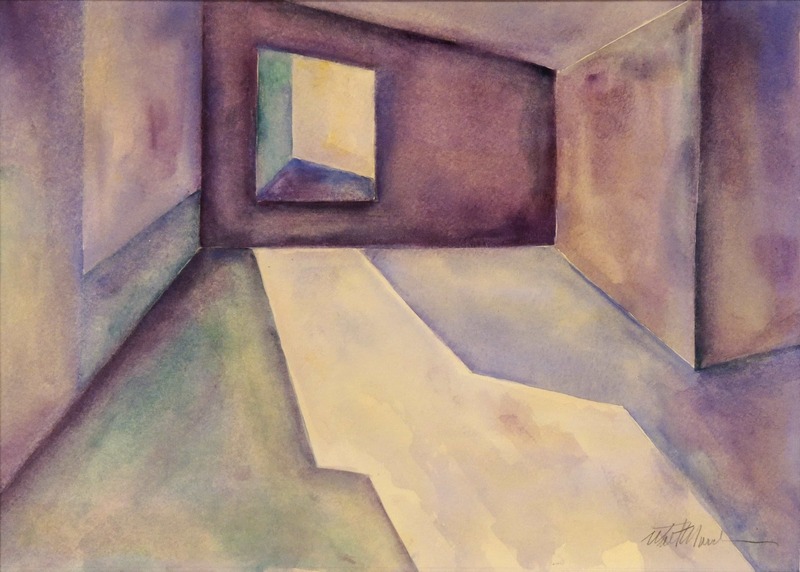 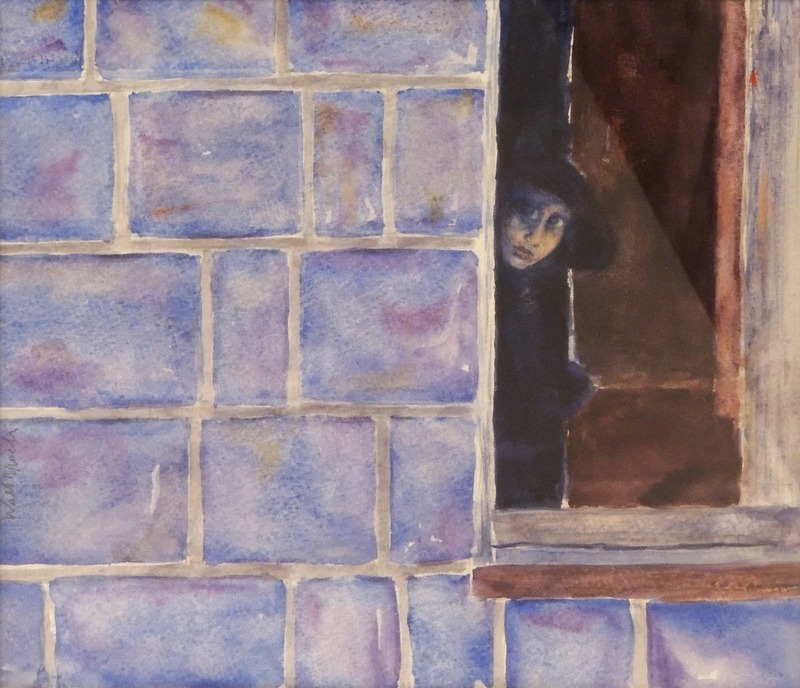 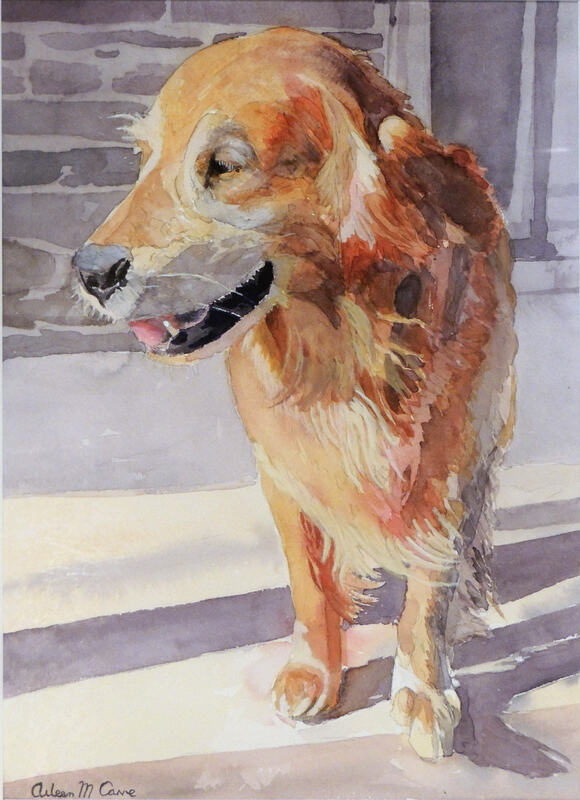 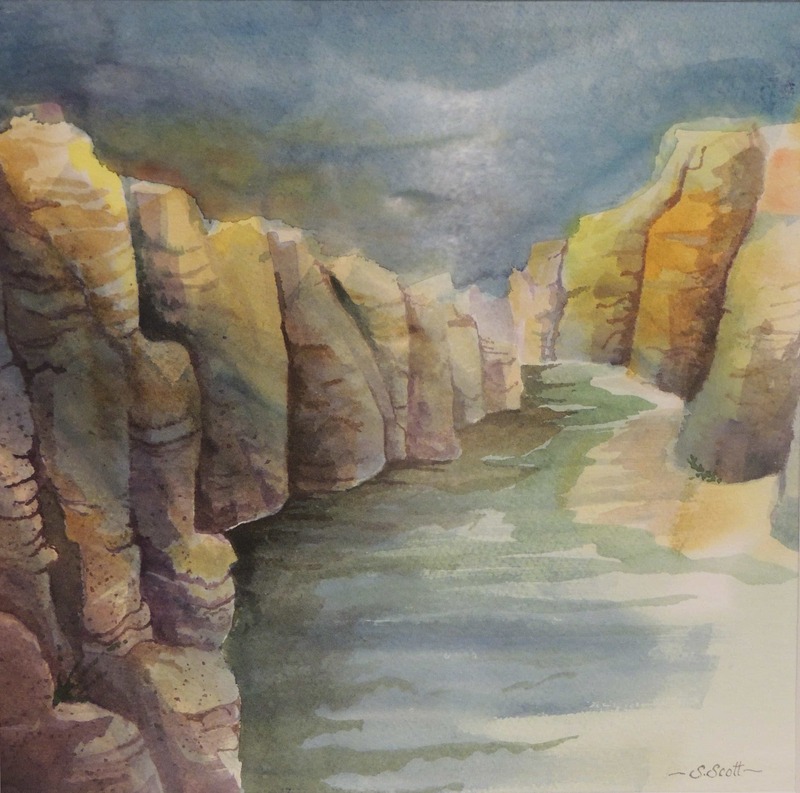 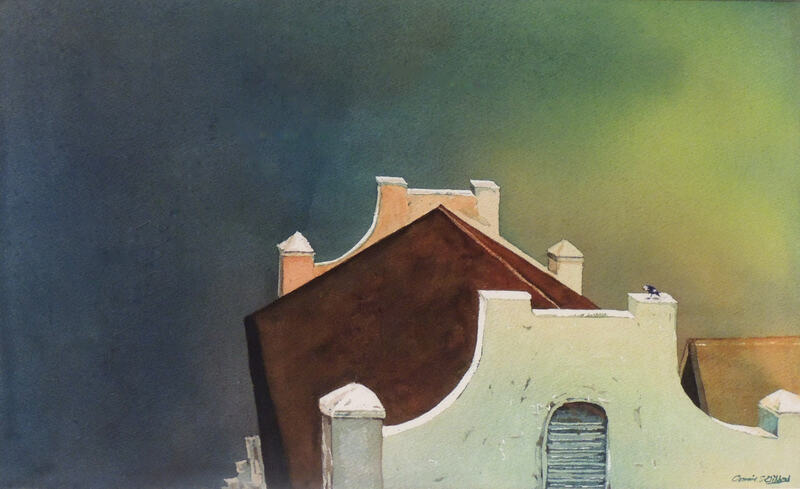 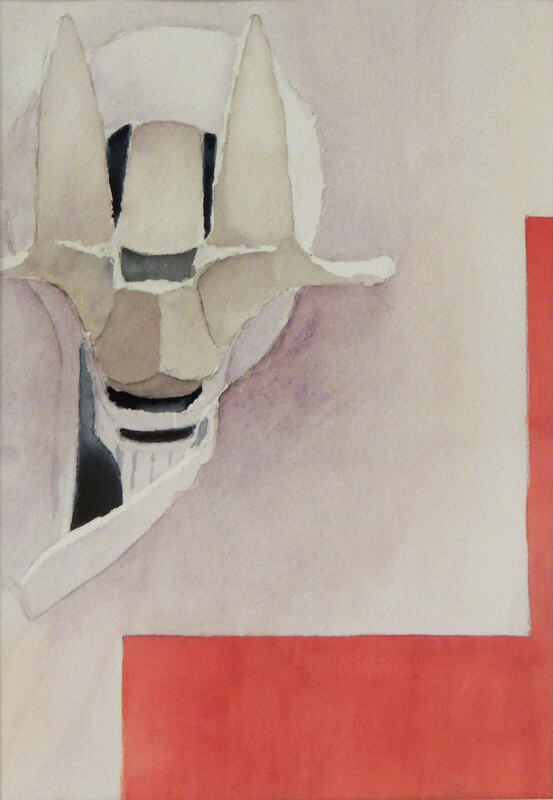 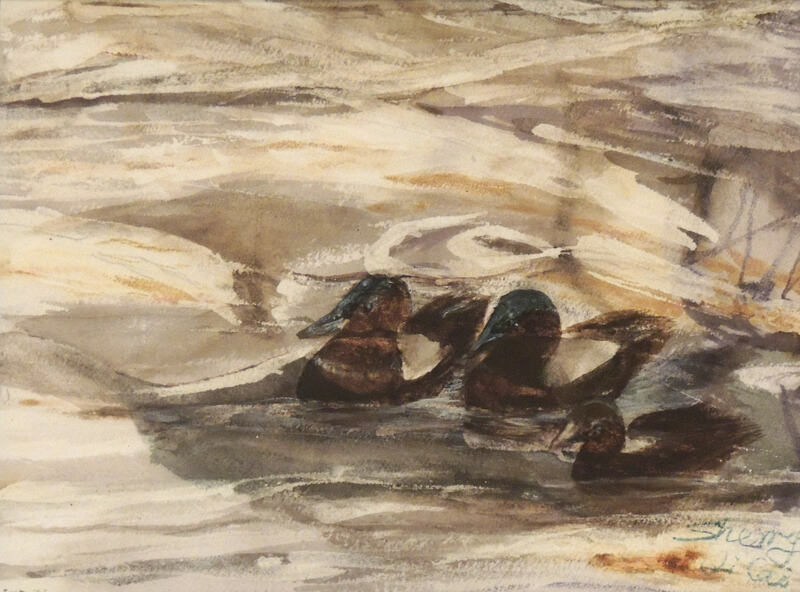 Waterworks, the society’s 43rd annual Juried members’ show features 76 new works demonstrating the breadth and relevancy of watercolor. 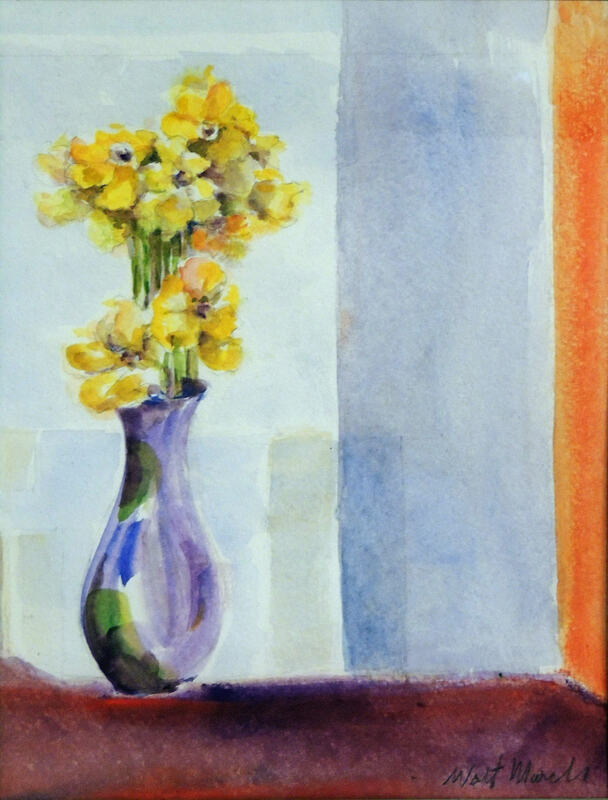 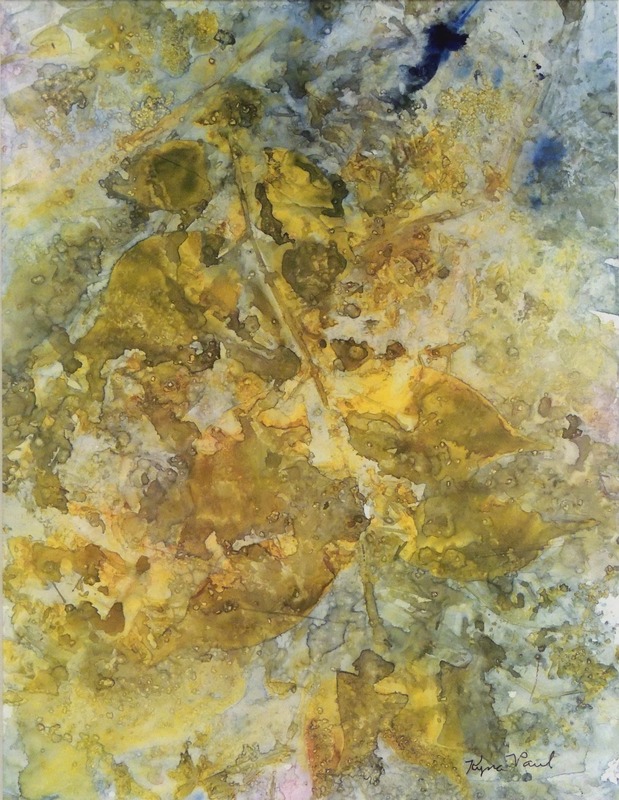 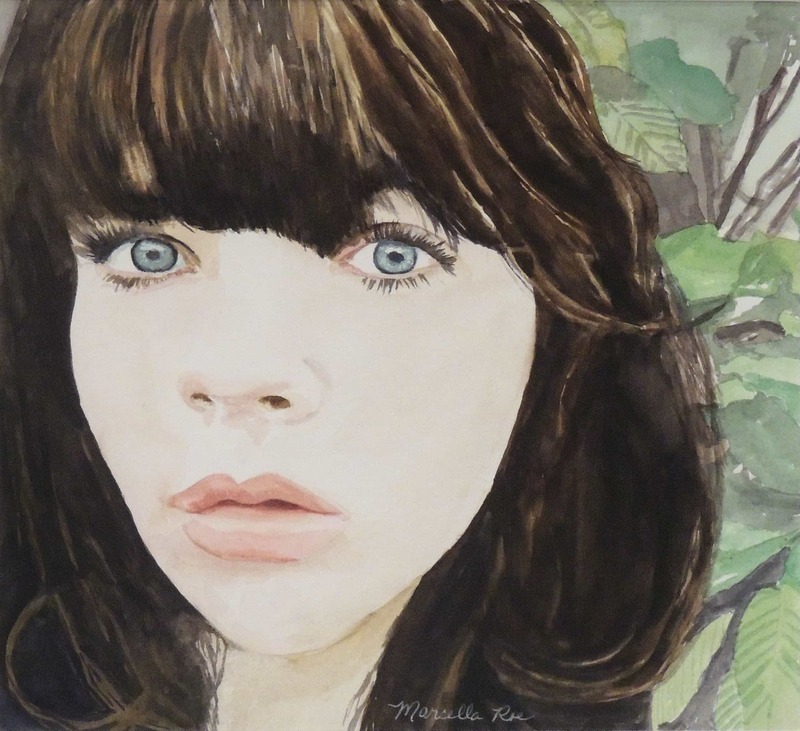 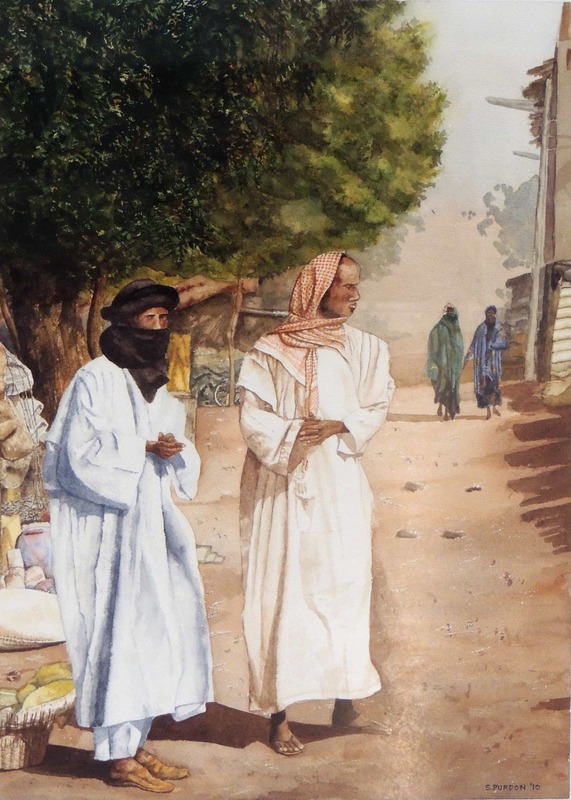 The exhibition features examples of portraiture, landscape, and still life and illustrates the wide range of techniques used in watercolor.